More pictures of the meeting are here. 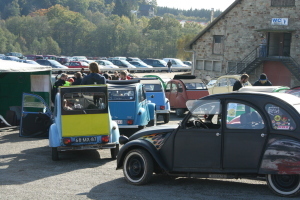 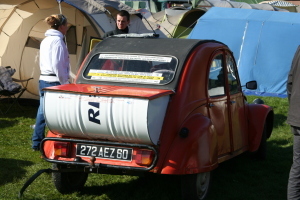 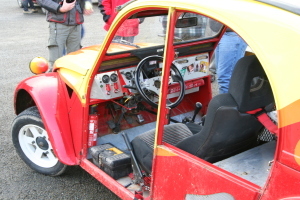 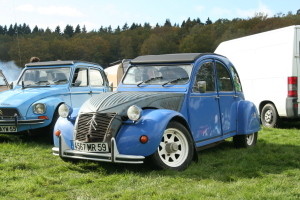 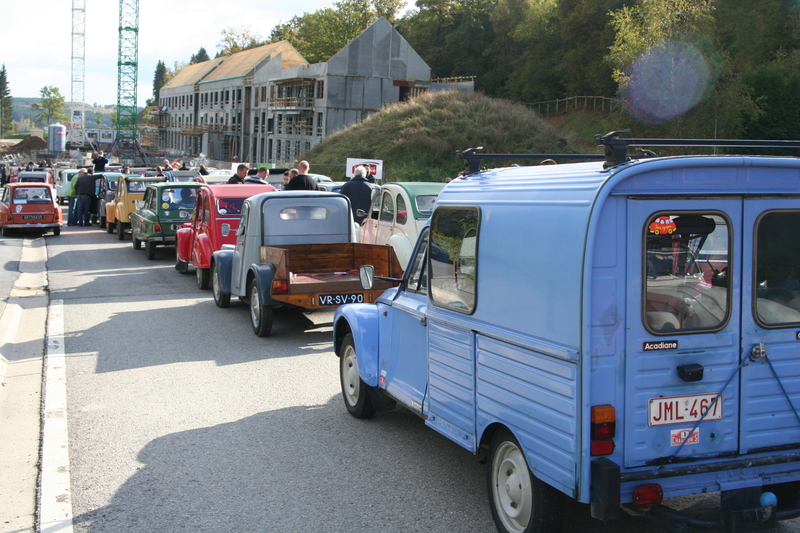 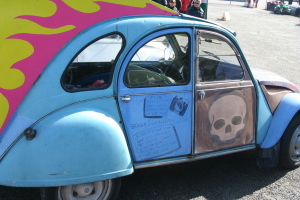 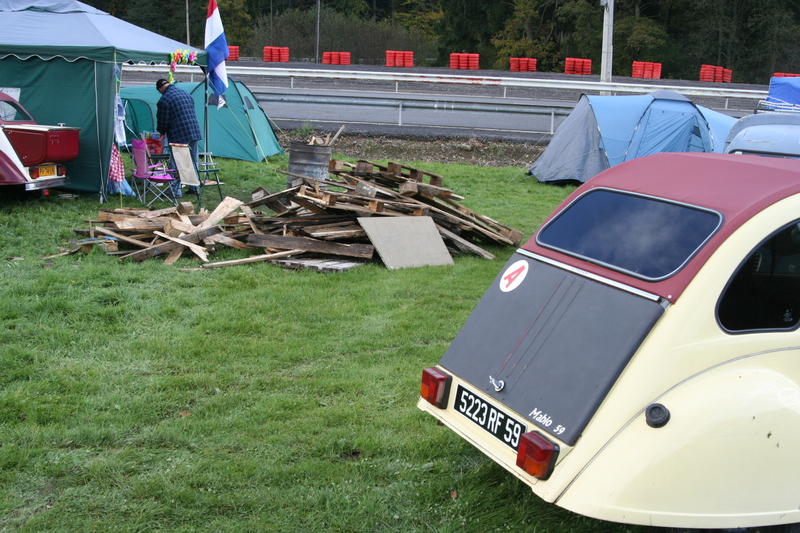 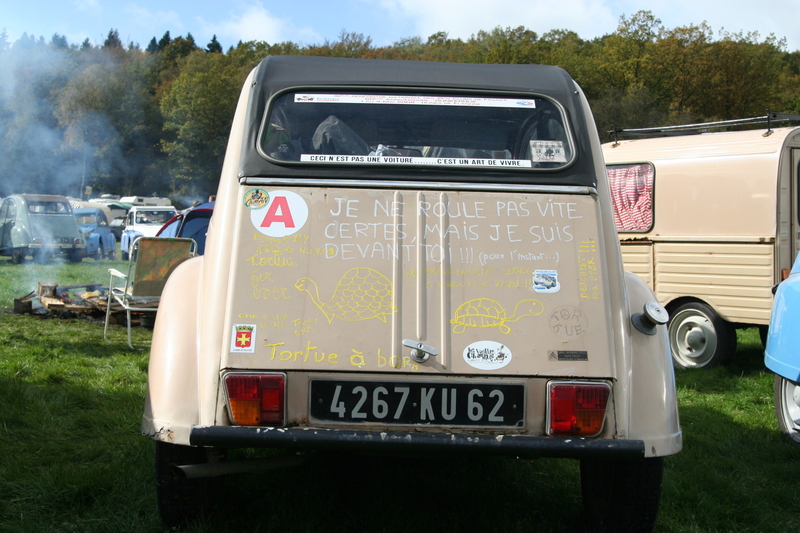 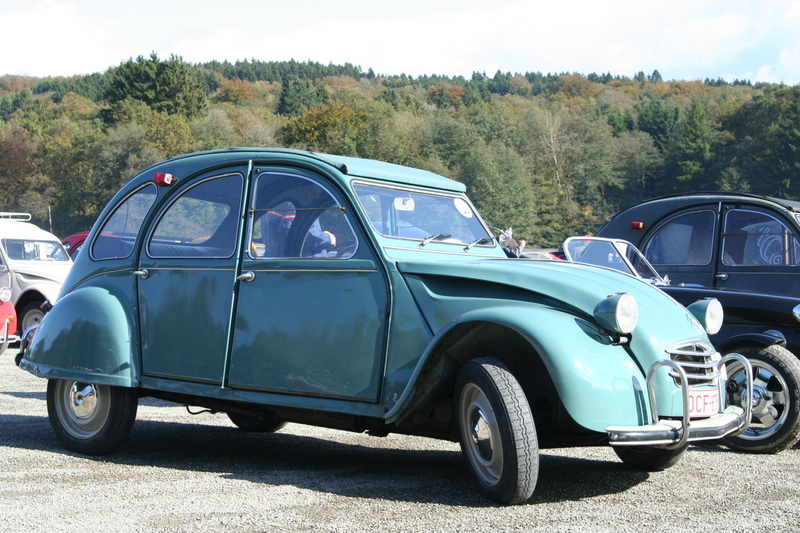 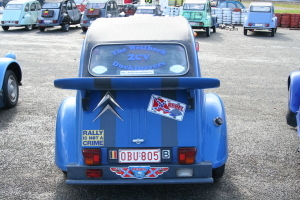 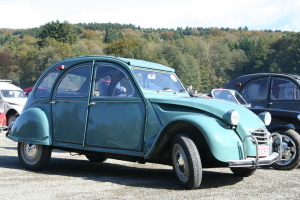 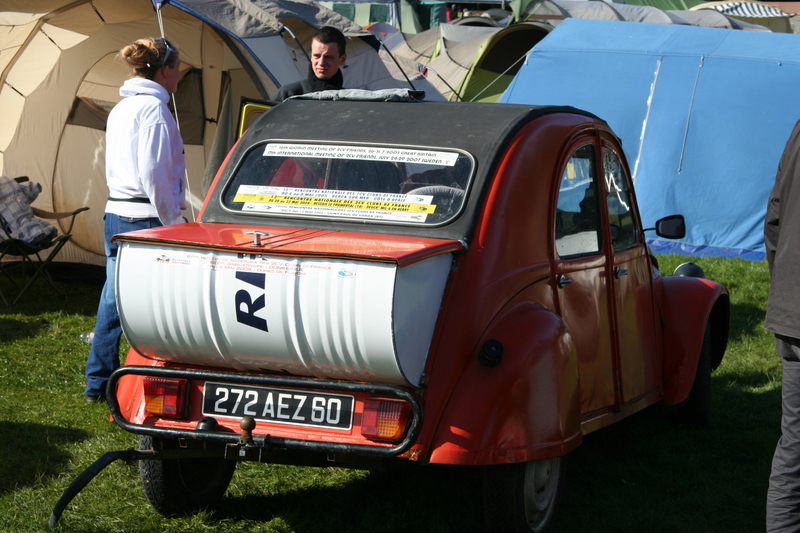 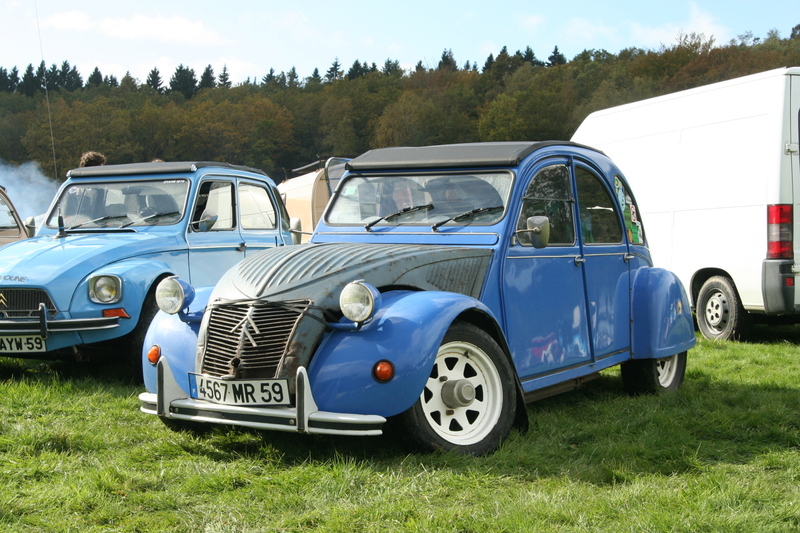 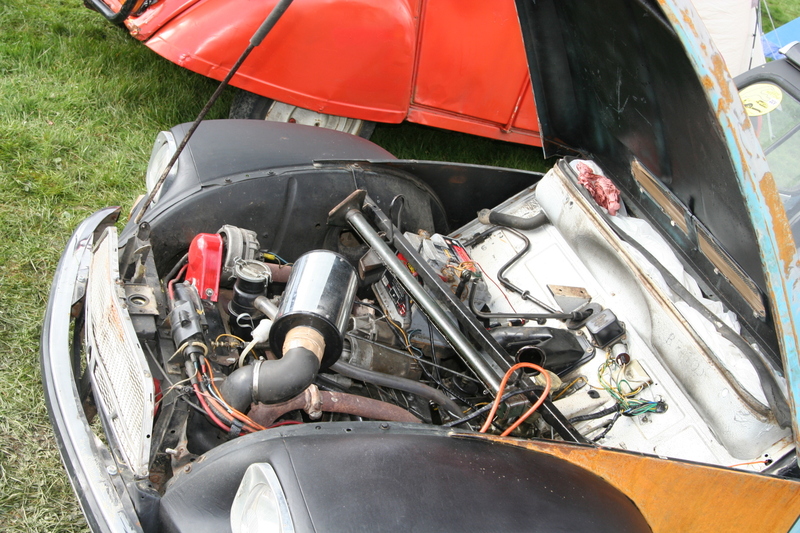 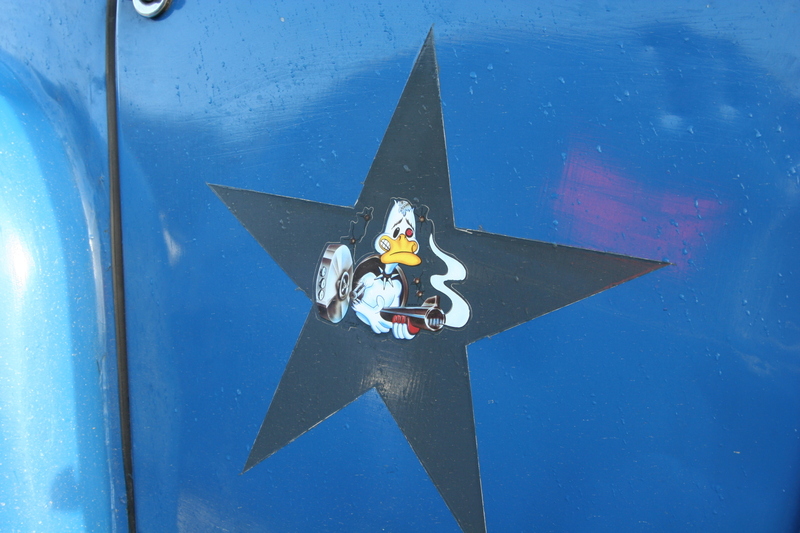 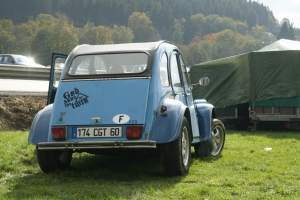 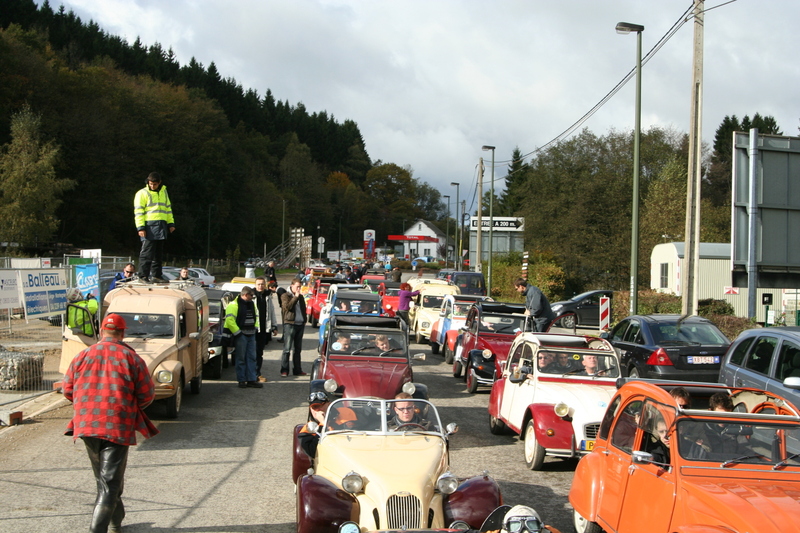 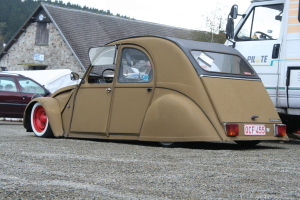 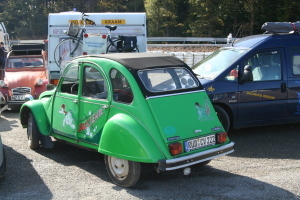 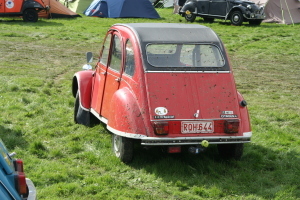 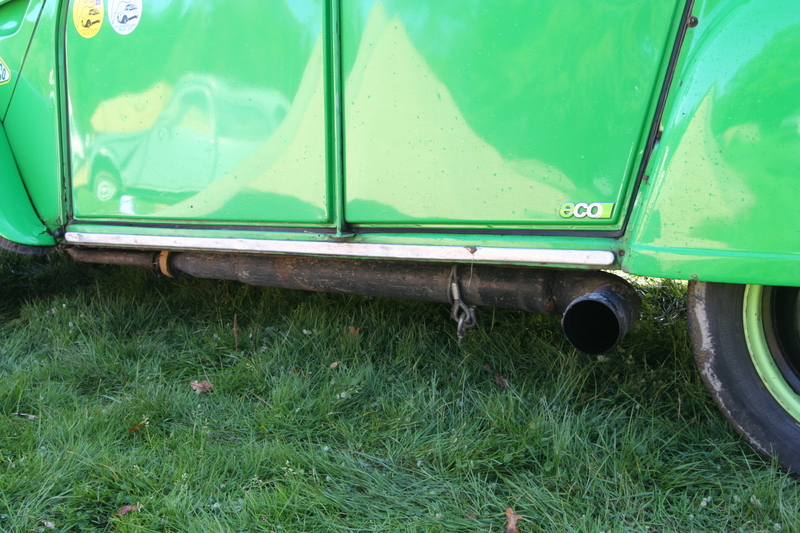 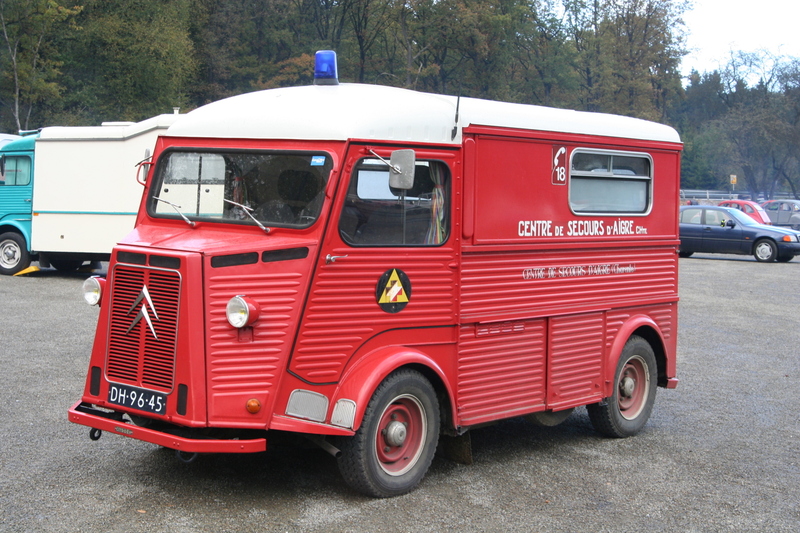 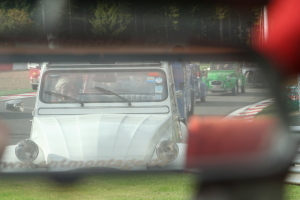 I have not been traveling to many 2CV meetings, but the notion that many things are different in Francochamps conquered my mind very soon and those differences filled the flash card of my camera. 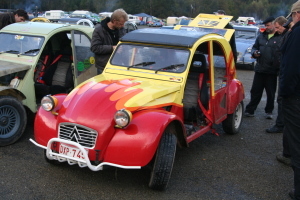 In other words: I clicked as if this would have been my first meeting! At the following you can find my photo reportage and for the first time a short film sequence. 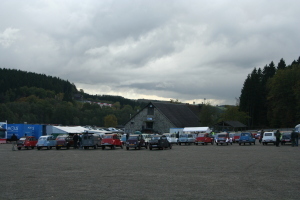 For October the 17th I had canceled another appointment and so I had to leave Niedertiefenbach (or to close the shutters of my house to fool my mates, so that they would not realize that I am still at home). 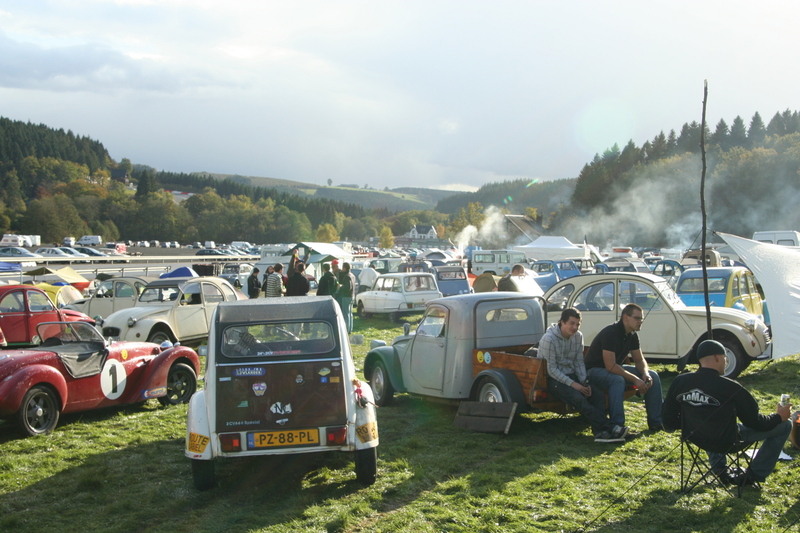 The weather was unsetled but if the sun came out, it was T-Shirt-weather. Preventively I put a sweater an a blanket at the rear seat. 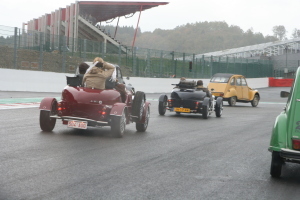 I planned to reach the meeting area at high noon, to take place at the tourists trip around the racing course at 14:30 and to leave Francorchamps at upcoming darkness, as soon as it would become too wet, could or just too dark. 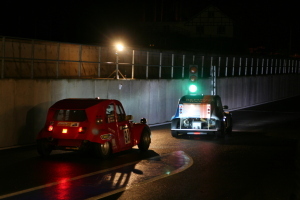 No sooner said than done - at 12:00 I reached the googeled motorway exit 15km in front of my destination and at 12:30 I reached the meeting area. 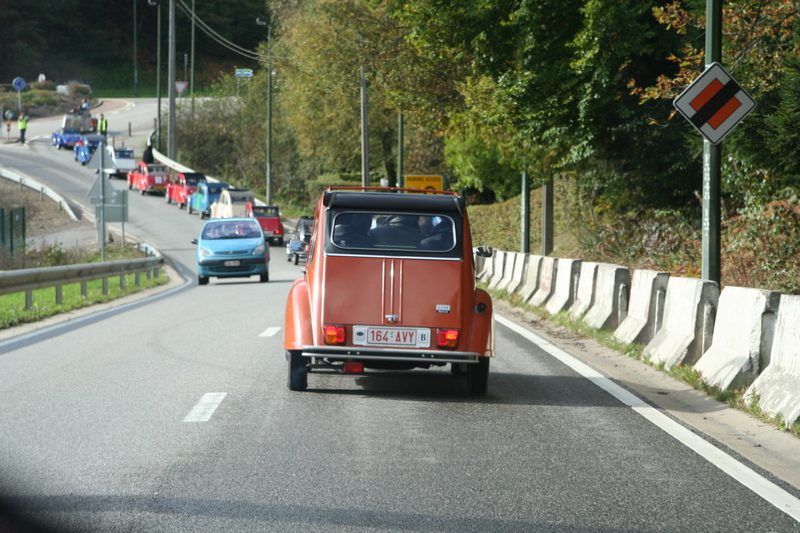 30 minutes for just 15km? 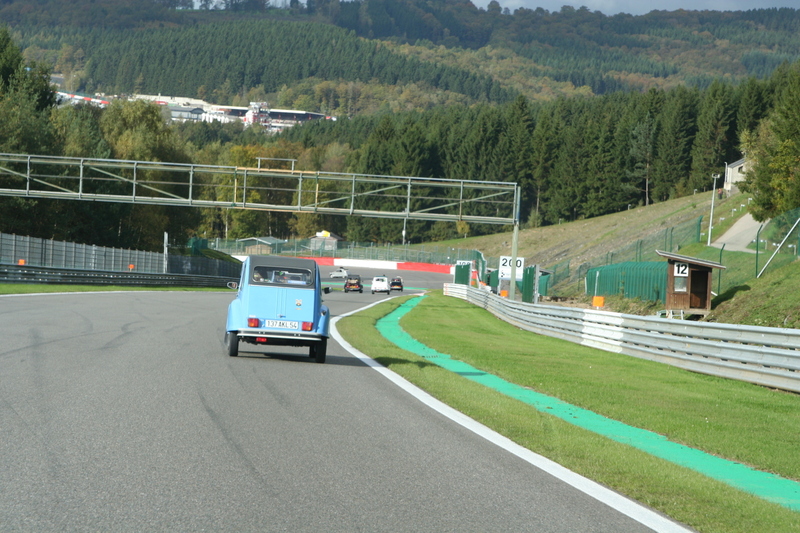 This was because of the sparsely signposting but nevertheless no reason for criticism - I just could admire more of the beautiful coutryside around Francorchamps. 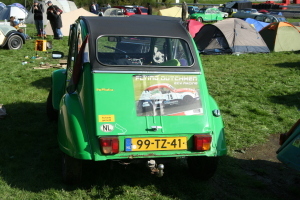 At the entrace I payed 32,-€ and got two stickers. 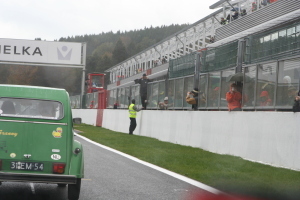 One allowed me to enter the meeting area and the other one to participate at the tourists trip around the track. 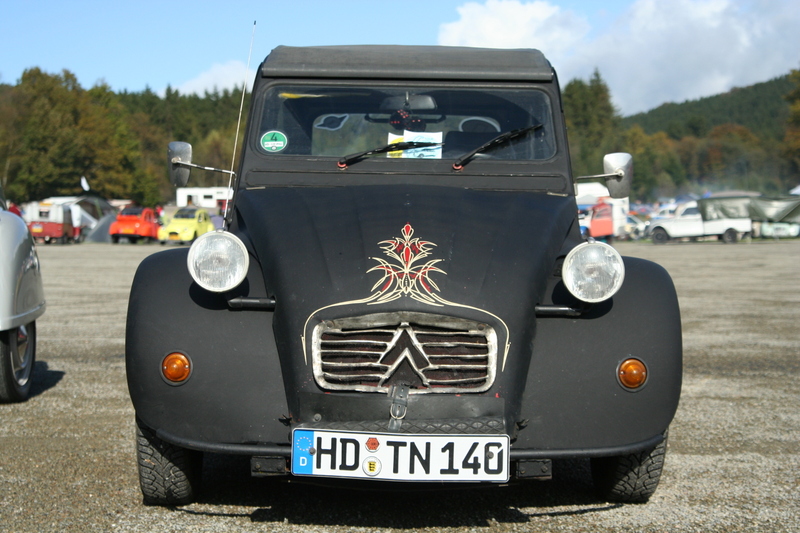 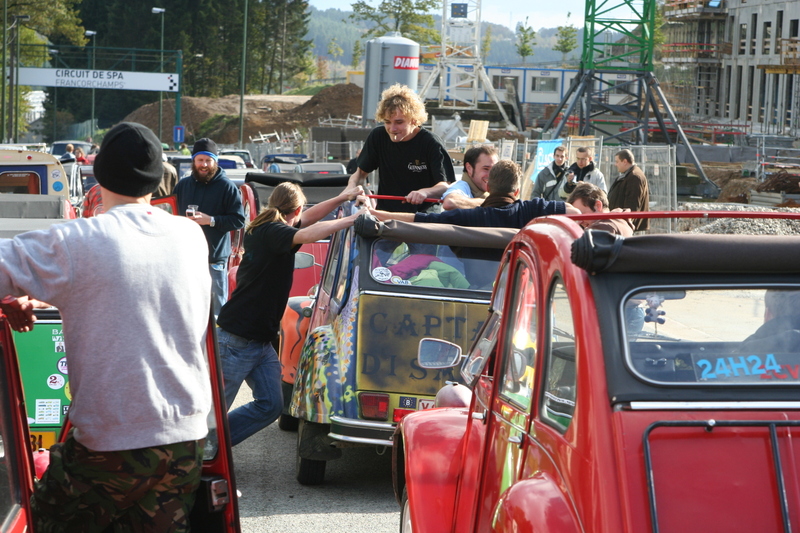 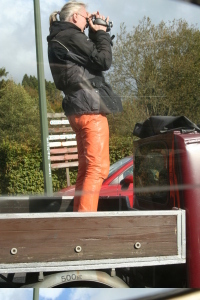 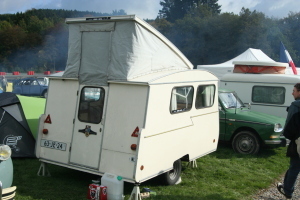 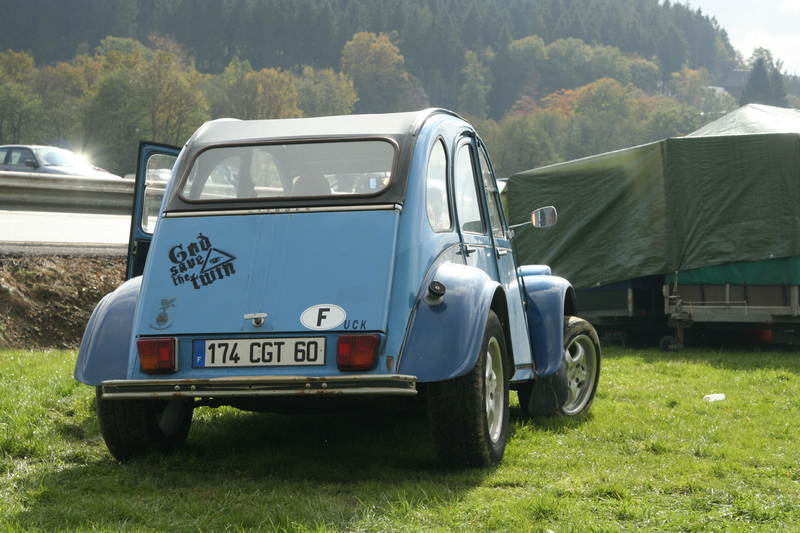 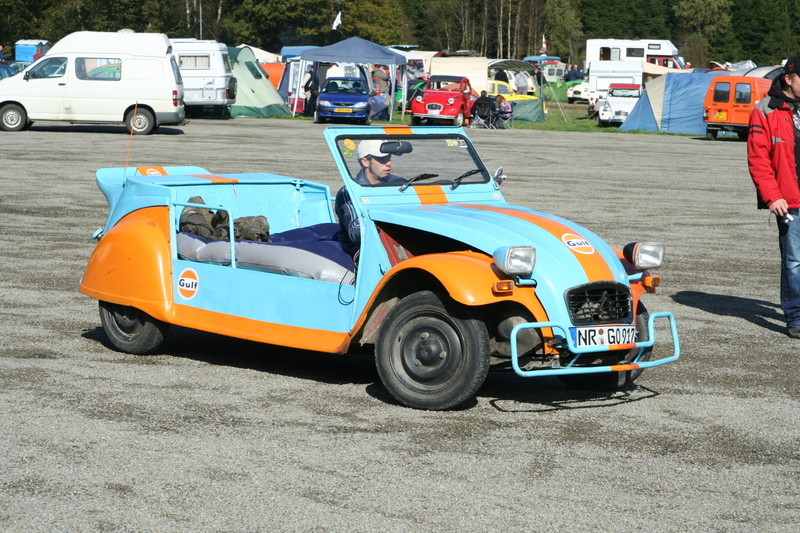 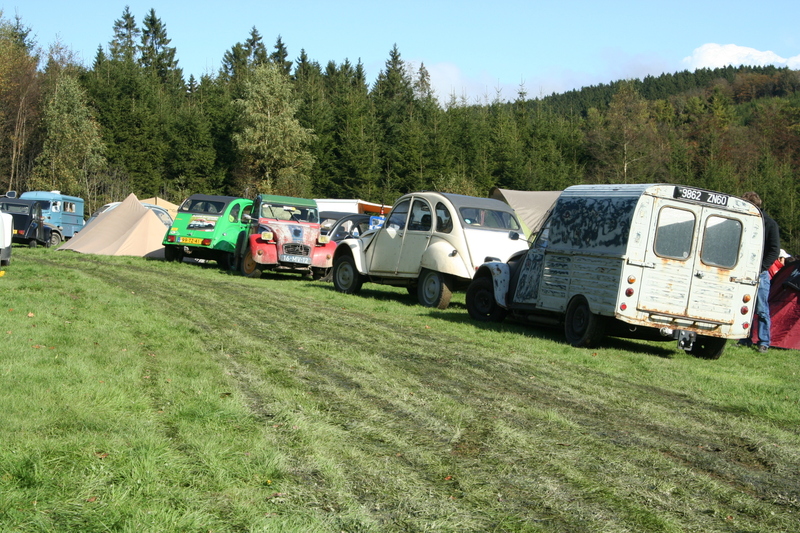 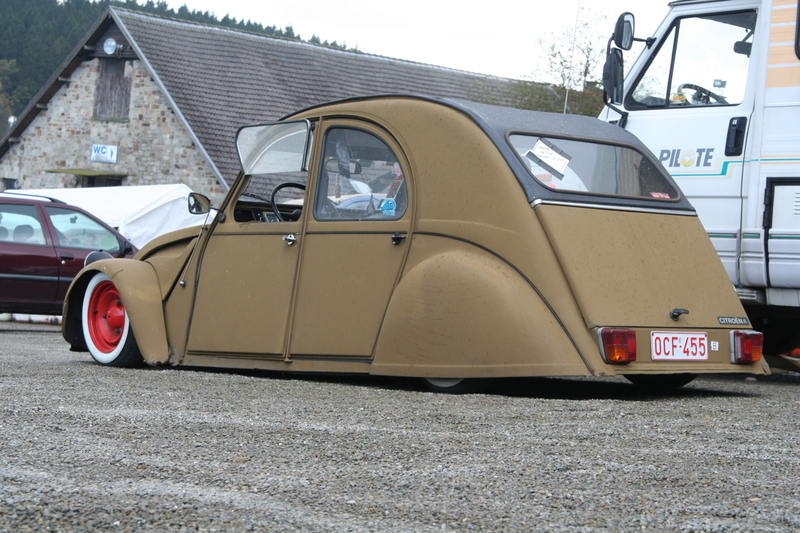 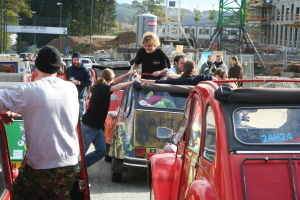 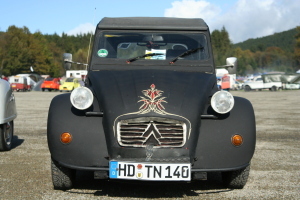 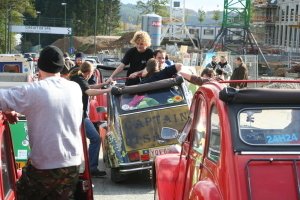 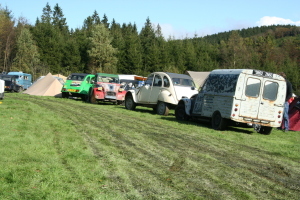 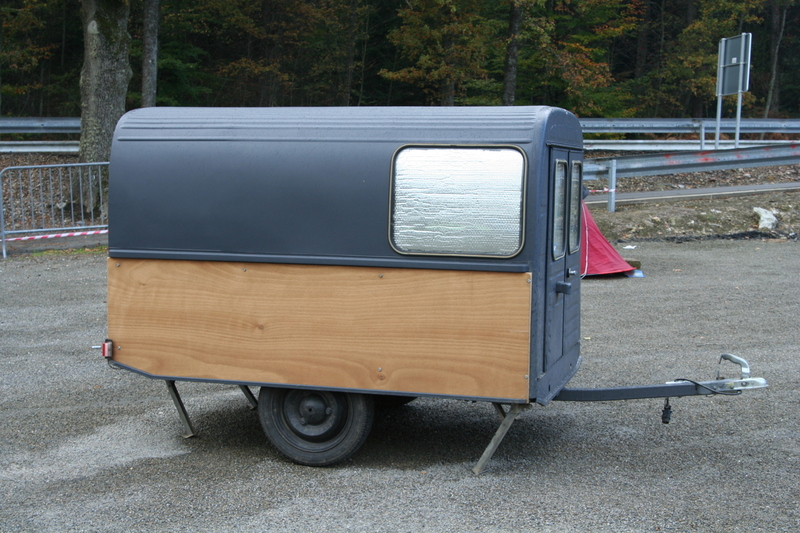 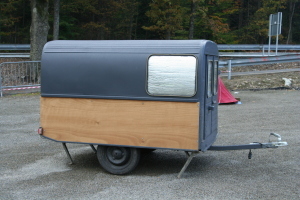 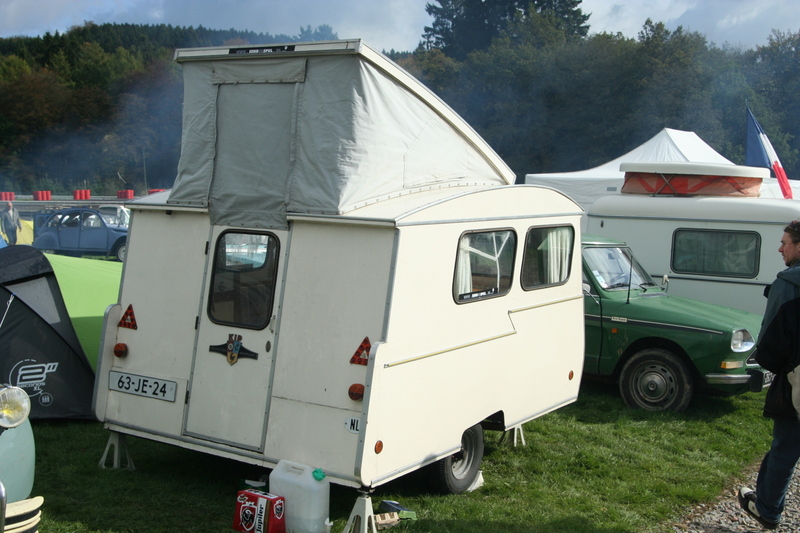 Dirk from my 2CV club in Diez saw me at the entrace and we both drove and slipped to his campsite. 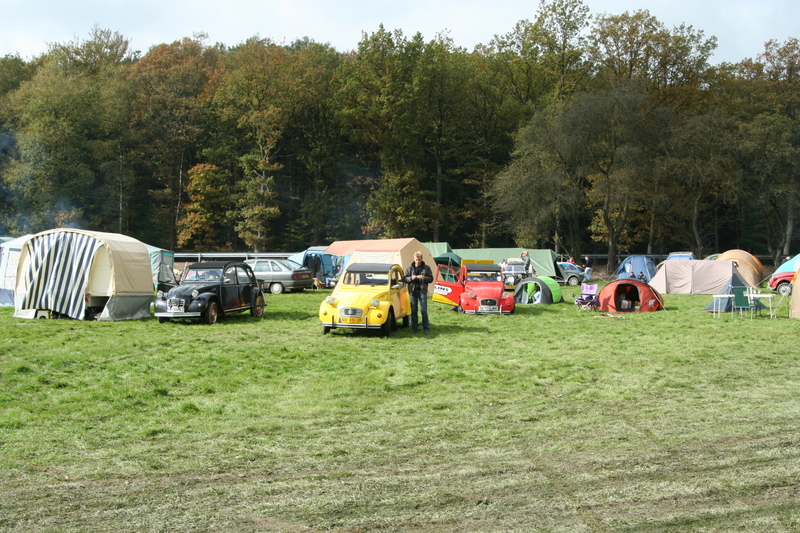 The day before it was raining and the grass was turning into mud hour by hour. 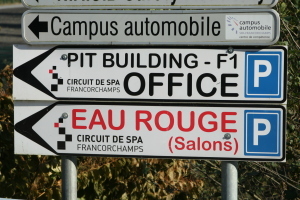 Together we started my first walk around the meeting area. 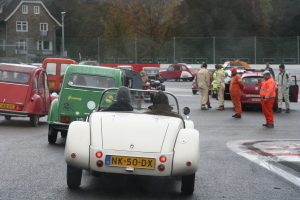 At 14:15 the formation for the tourists trip along the race track was announced and those who wanted to get the pooleposition had to park their car clearly more early with their hood pointing to the exit. Sometimes the baggage started to move to the track and I was inbetween the biggest convoy of my career. 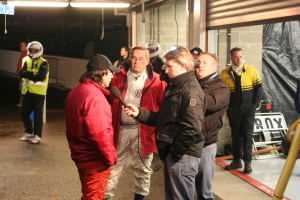 In front of the track all cars were positioned and the time was used to talk, prepare the camera equipment or to shake the car. 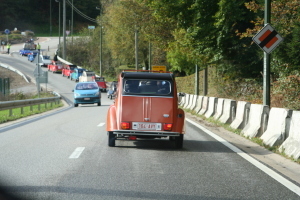 Somewhen the convoi started moving and I started the video function of my compact camera. 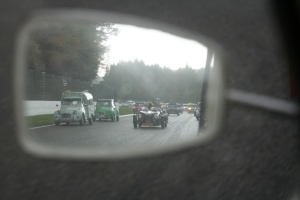 Crazy how many 2CVs were at the track! 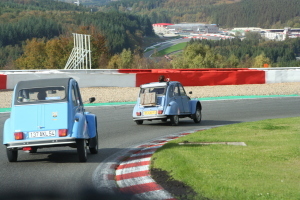 The course is 7 kilometers, 3 meters und 95 centimeters long (under normal conditions with 1013mbar air pressure and 20 degree Celsius of temperature...). 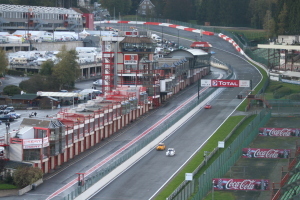 The track record of 1:43:726 has been done by Schumi at the year 2002 and is wasn't really endangered this weekend. 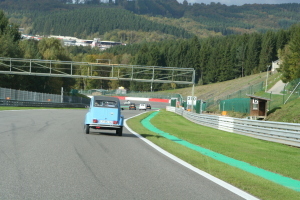 I was impressed by the strong grades and declines - something like that can just be esteemed by a 2CV driver - Michael Schumacher will think of the track in a more flattened way. 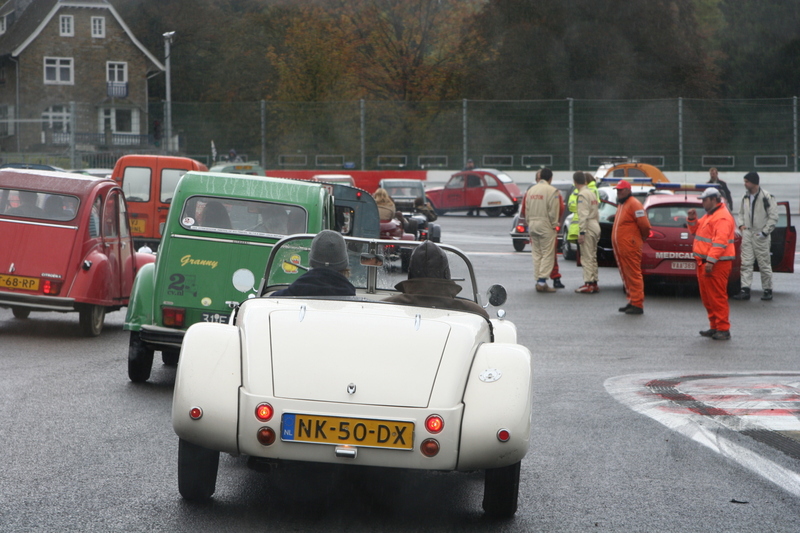 During the lap, the weather changed from sunshine to rain and I has a pitstop - not to change tyres, but to replace the memory card of my camera and to close the roof. The Ardennes started to present their rough side. 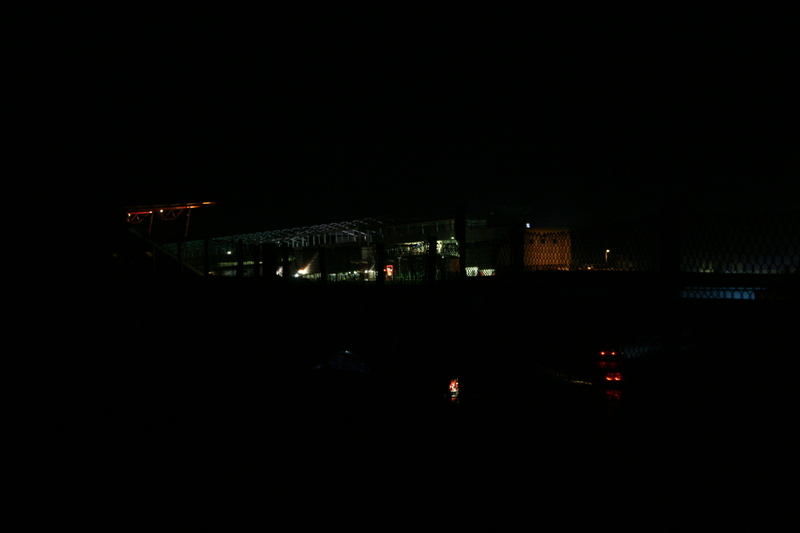 The quality of the video is like at an old VHS-cardridge with a little color fault and slightly out of focus, but that makes it look like a film made before the all-inclusive-meetings. 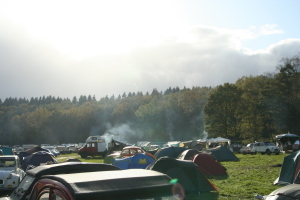 Back at the meeting ground, the rain stopped and the first smoke plumes ascended to the sky. The grass turned into mud and 2CVs with all-wheel-drive took the control. 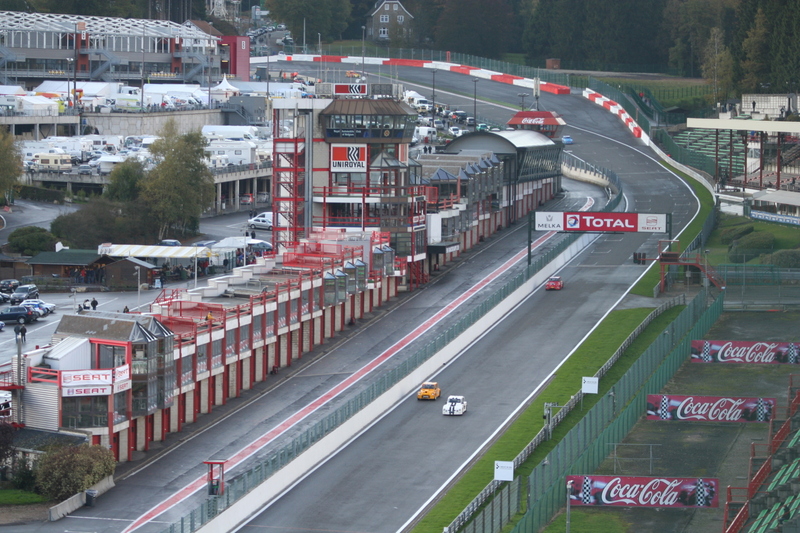 At 16:30 the race should be started and so I went with Dirk, who was familiar with the place, to the tribunes. 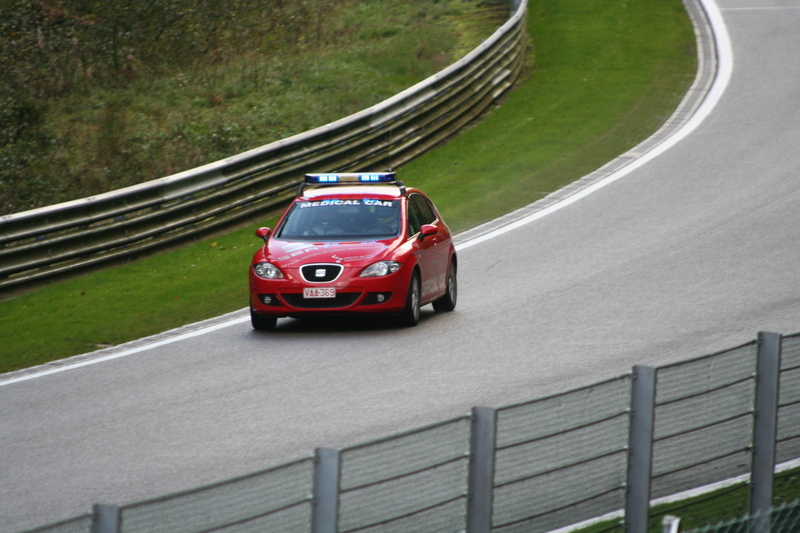 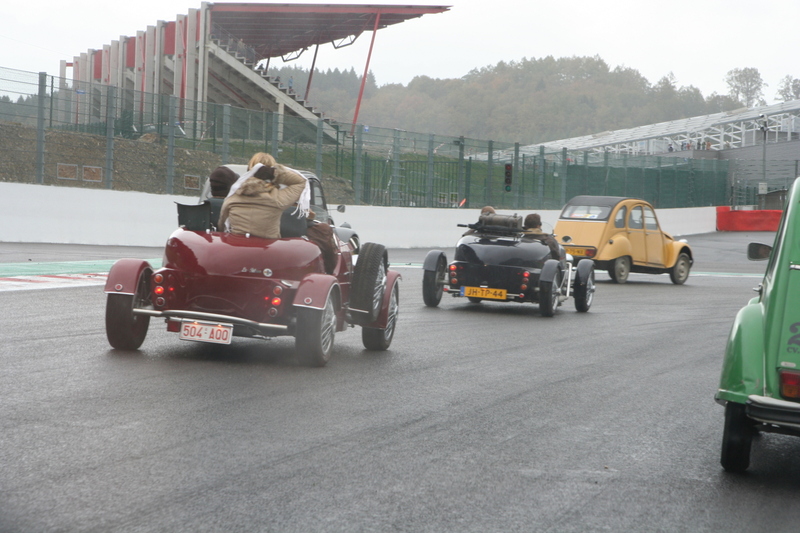 When we came to the racing track, the cars already had started their warm up lap and so we hurried to get a place at the balustrade. 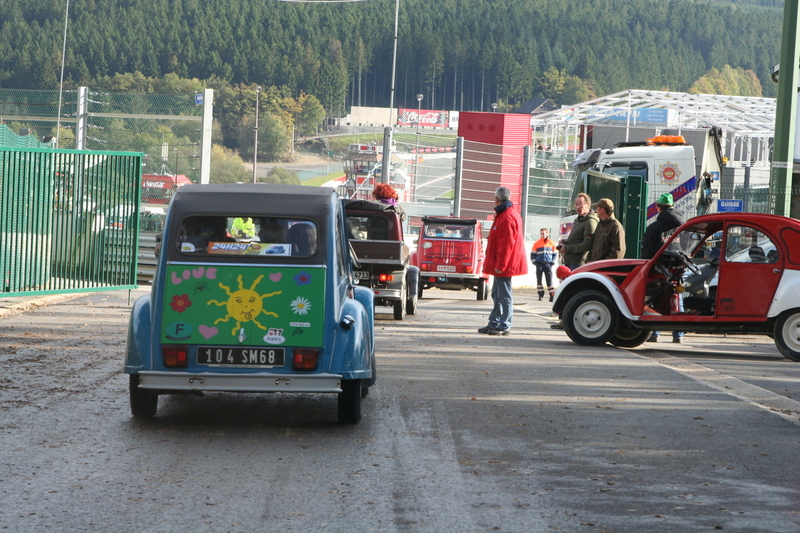 Stupidly the start took place at the other side of the buildings, where new rostrums had been built - tough luck! We saw the cars for the first time when they had almost finished their first lap. 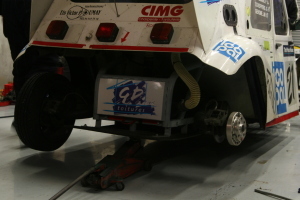 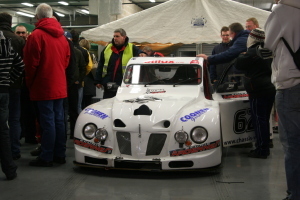 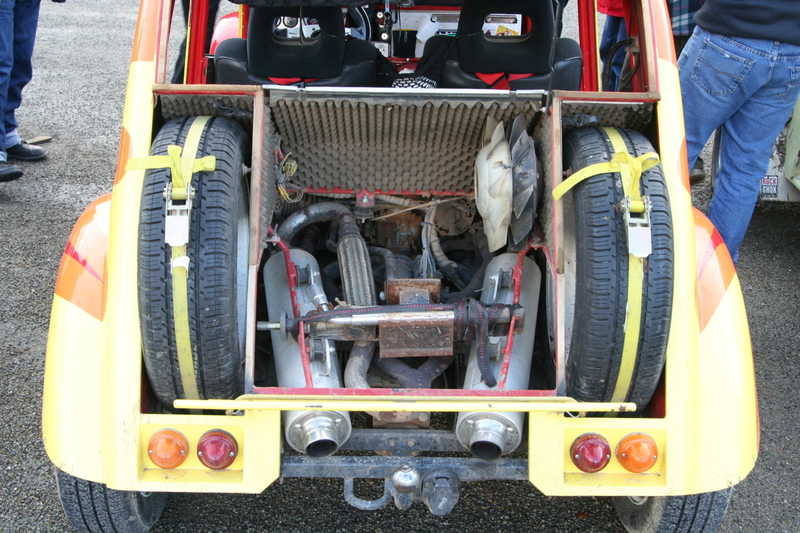 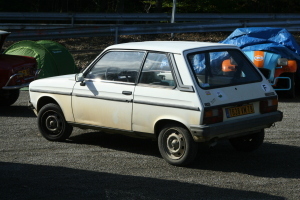 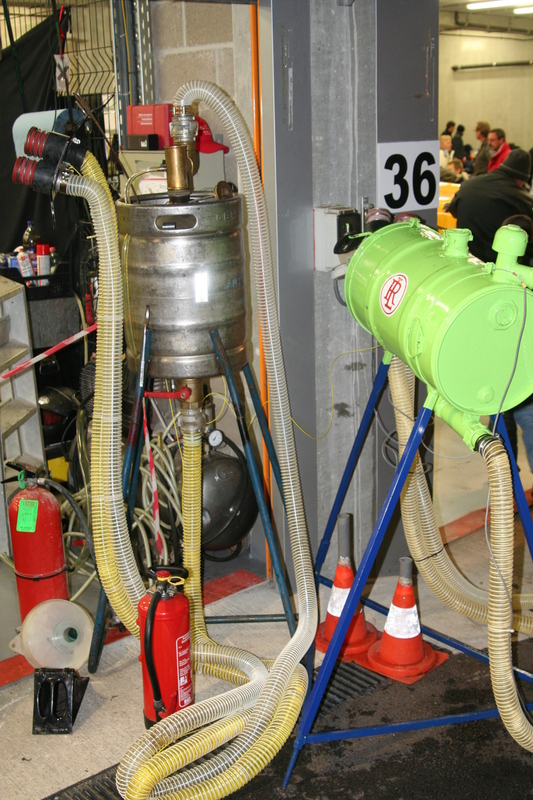 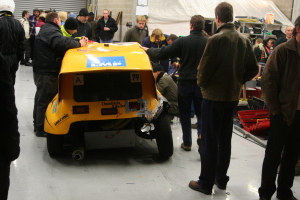 First the prototypes came along, followed by the touring cars and the close to produktion vehicles. 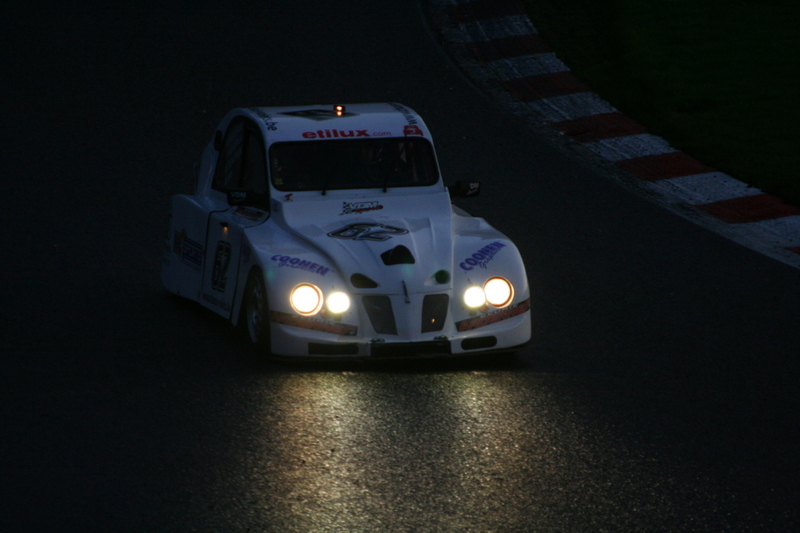 At last number 97 chuged along and we decided to make this car our personal favourite. Right in the middle there was a Burton (of course without a top), whose drivers we really respected because the air became frosty at the evening hours. 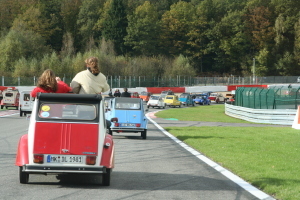 After the konvoi passed our lookout some times, we started for a walk around the track. Thereby we could see that the cars were really doing racing! 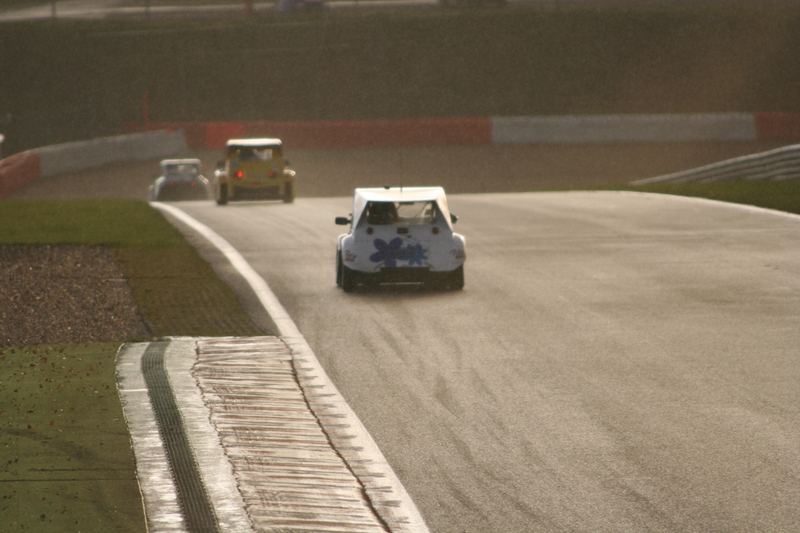 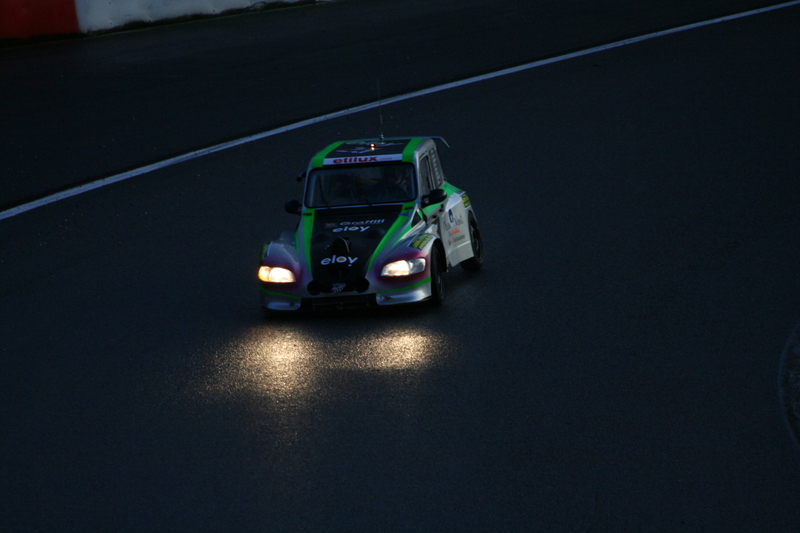 After a short rain, the track became slippery and we could see drifting cars. At a broken down car, we could see that the drivers also funtioned as machinicians and by mobile phone the service car was called. 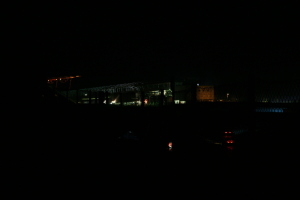 While marching around, it became darker and we could see the stars. 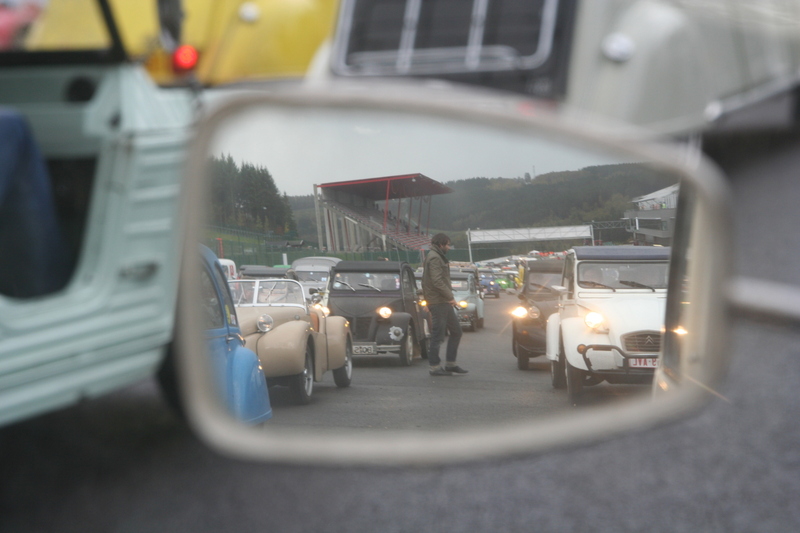 Therewith to me the meeting was over, because I had seen what I expected to see. 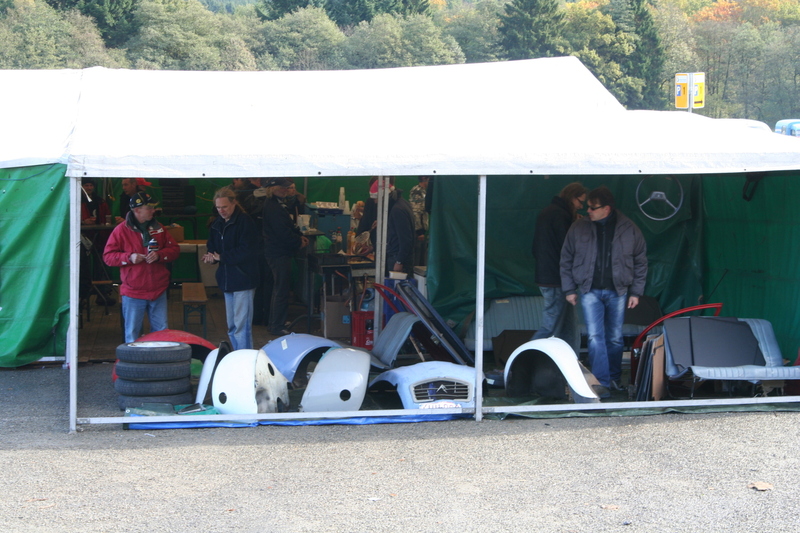 Back at the meeting area, we heared that the pitts are opened even during the race and so we went to the race track again. 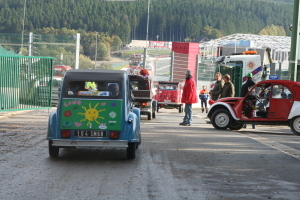 The way to the pit lane was labyrinthine, but suddenly we were right in the middle of the event! 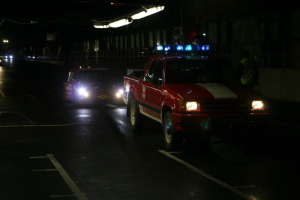 The backdoor of one building was opened. 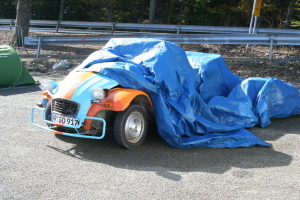 Here a rollover simulator was placed, where at you could feel what happens if you roll through landscape instead of driving. 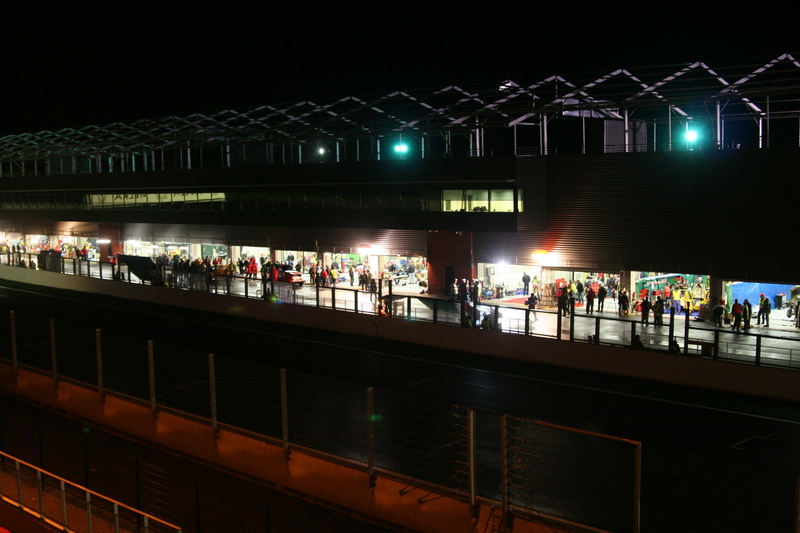 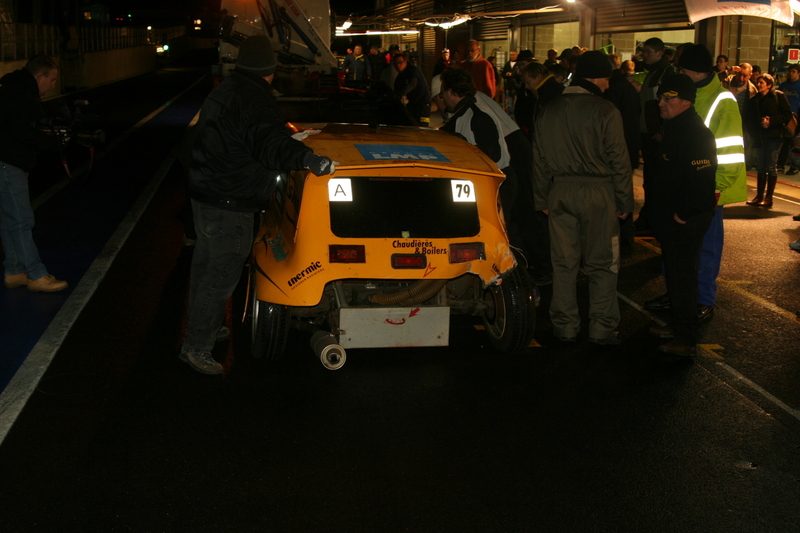 The front door opened the way to the pit lane . 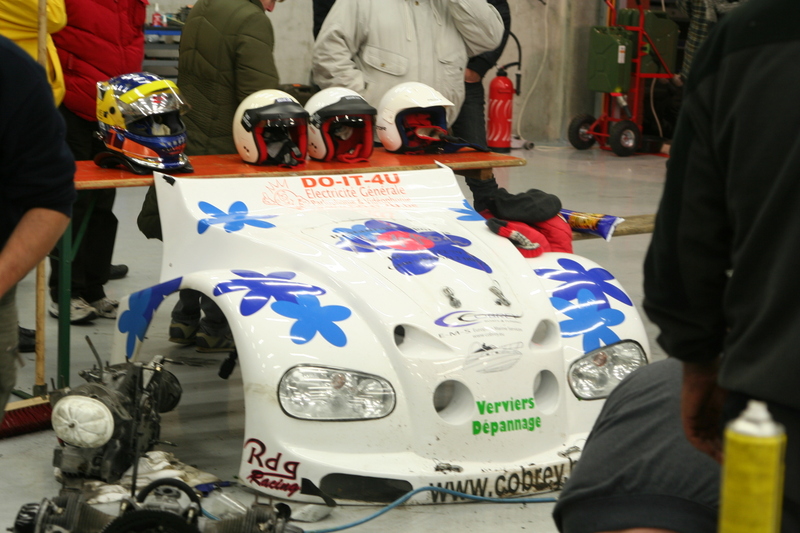 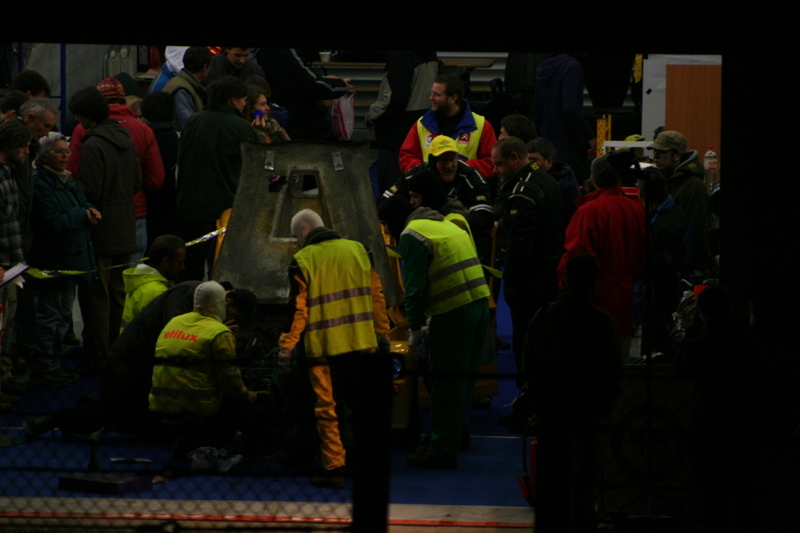 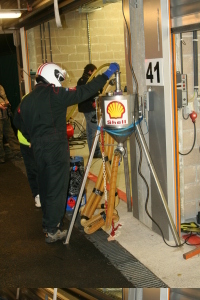 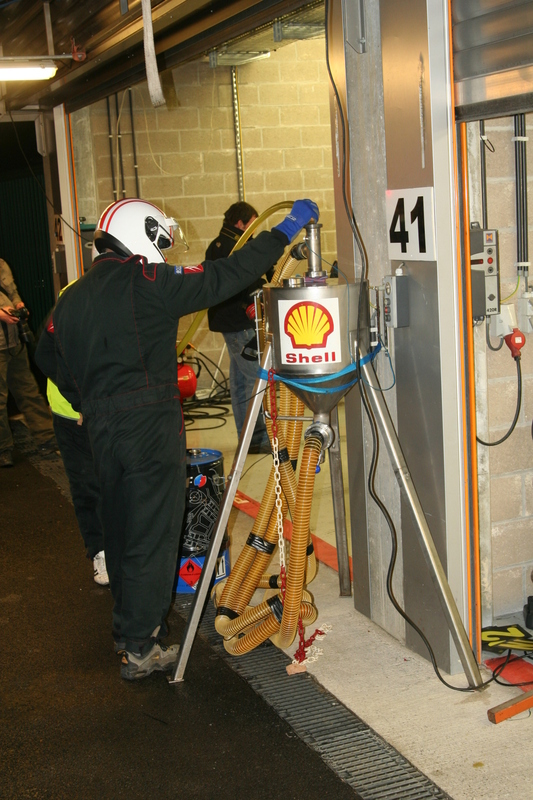 In a minute cycle cars came in and we could see driver changes, refuling and repairs. 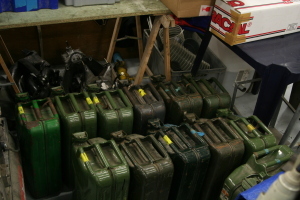 An all those frames full of spare part - great! 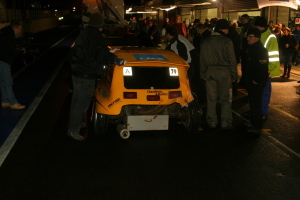 Stupidly the accumulator of my camera stopped working because of the coldness. 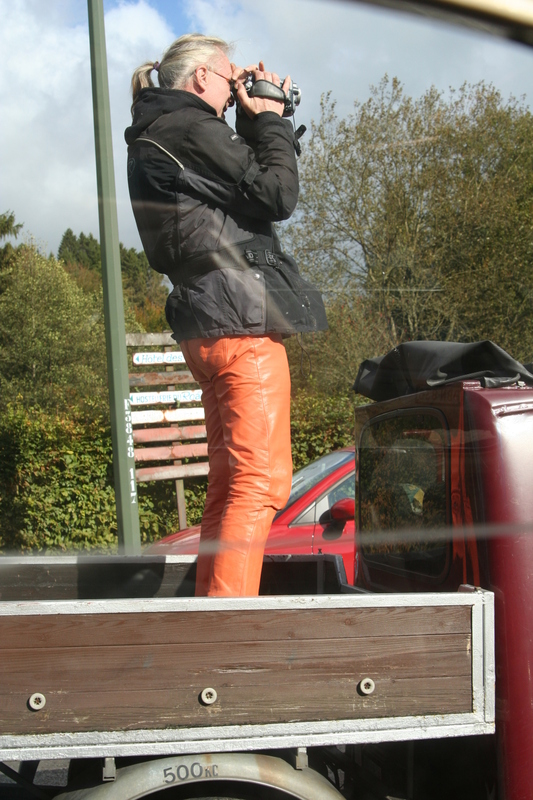 So I put it into my pocket to warm it up and soon I could do some more pictures. 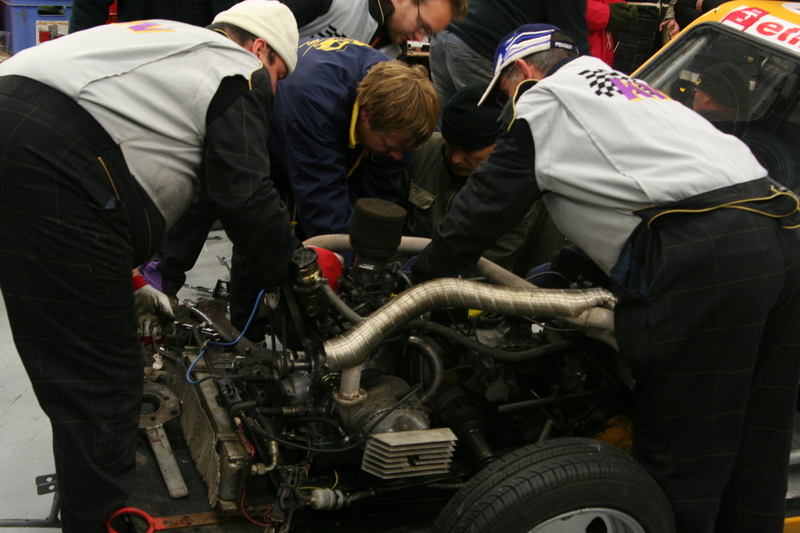 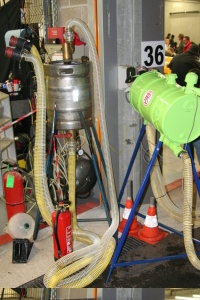 Sometimes I has dess enough of pitting and repairing (number 97 had no problems) and residual heat of my body wasen't able to warm the accumulator any longer. 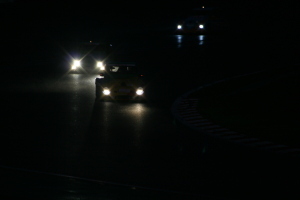 So I went back to the meeting ground to warm me up at the campfire and to start my drive back home. 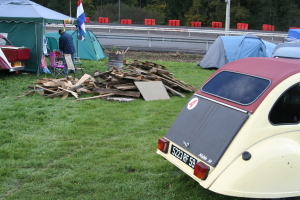 The chat at the campfire lasted longer than expected, but why should I leave while the meeting is still funny? 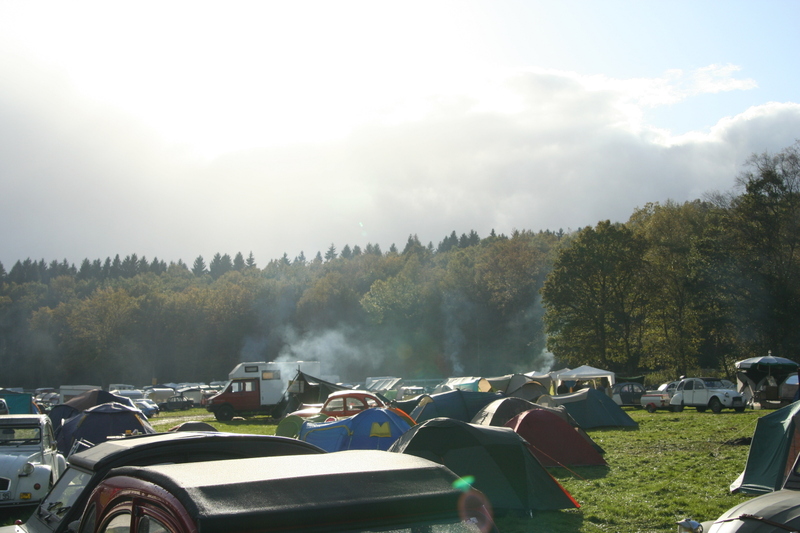 We made jokes about the people at the meeting area who produced more smoke (looking like mushroom clouds) than warming flames. 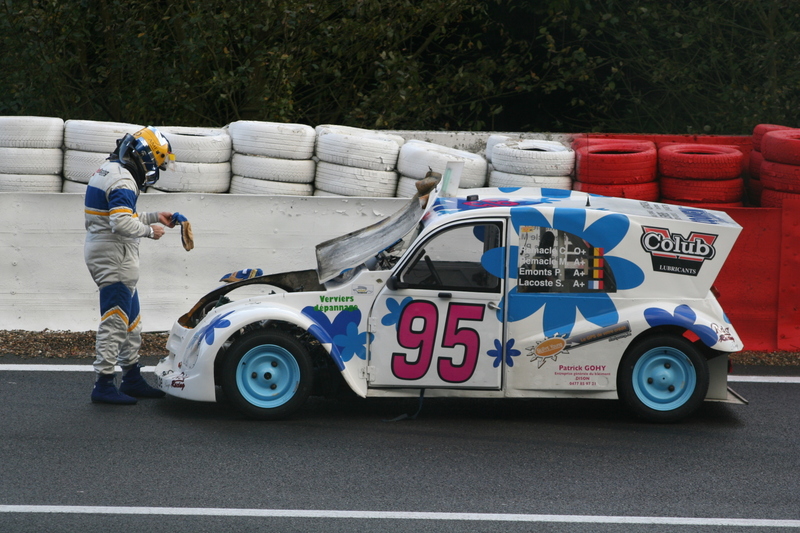 Dirk already told me: "At Spa they burn everything - really everything!" Sometimes our firewood reservoir became empty and we started to put the wet brushwood into our fire barrel, too. 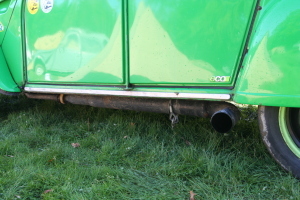 Our personal smoke generator was turned on. 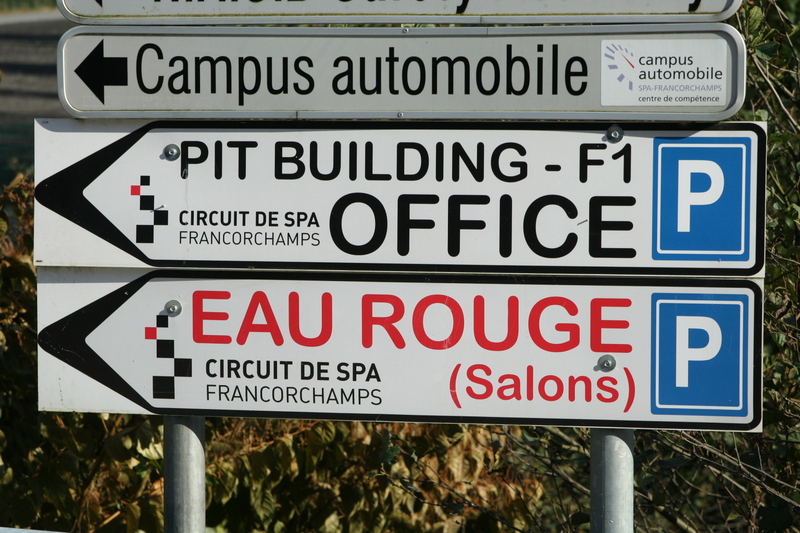 I fetched paper lying around in my car - among that was the printed route to Spa and the registration of the worldmeeting. 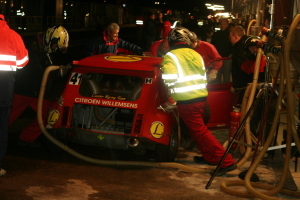 Therewith we could produce flames again. 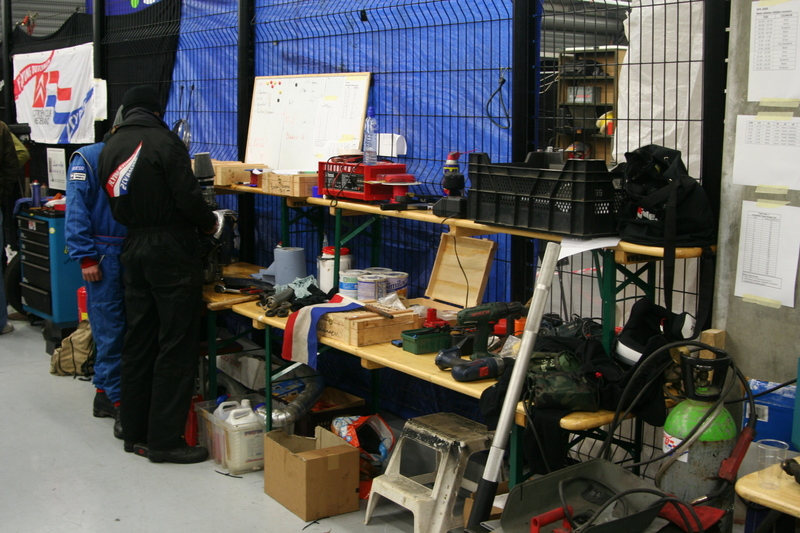 As soon as the last collected and stolen firewood had turned into ashes, the colleagues around me creaped into their partly heated - by emergency power supply and hairdryer (!) 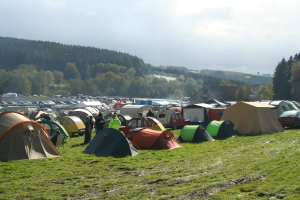 - tents. For me it was time to leave. 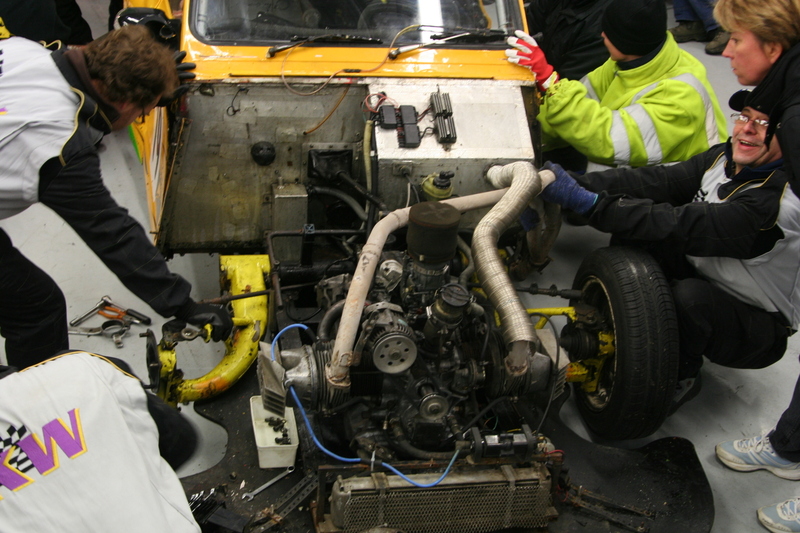 So I scraped the ice crust from the window panes and started the engine. 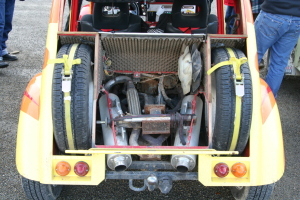 The starter turned it sloooowly around and as soon as the engine was running I left the meeting area at 3:00 in the mooring. The only stop was to refuel my car. 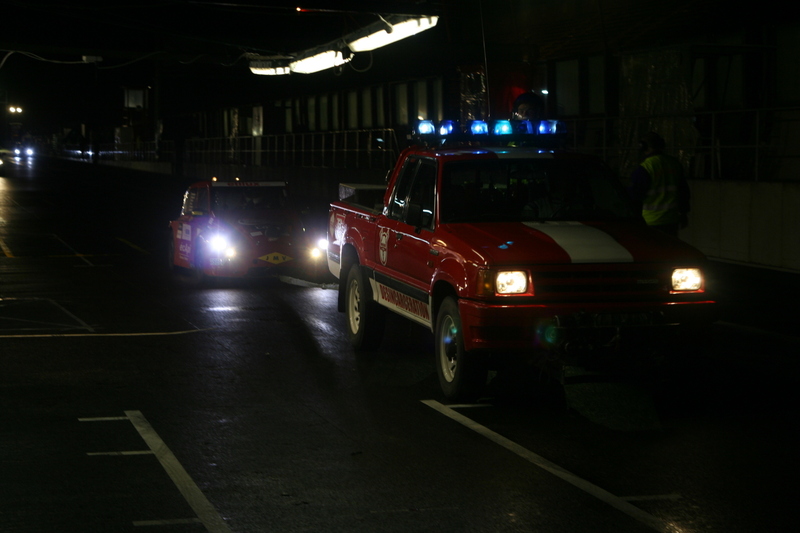 I had a sinking feeling with the smell of burning at my whole body when I entered the gas station and i could swear, that the monitoring cameras started pointing at my direction. 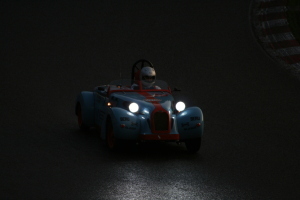 At 6:20 I fell into sleep inside my warm and dry bed! After sleeping late, I had a look at my car and a second Spa-wisedom came to my mind, which Dirk told me: "Take pictures of the cars as soon as possible, afterwards they all look grey!". 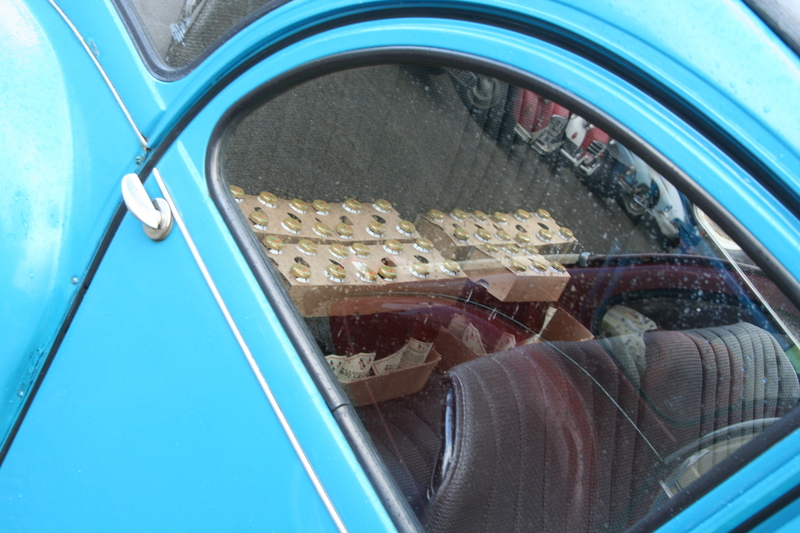 My car was spread over and over with burned fir needles. 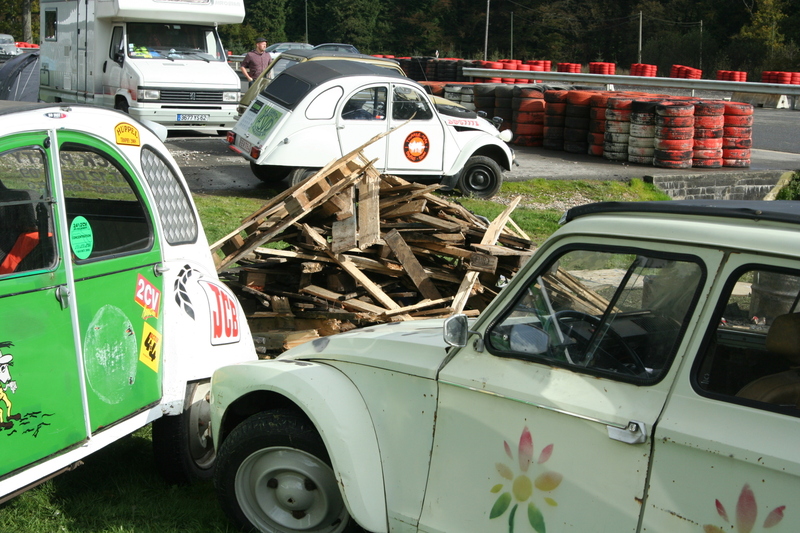 At Spa they really burn everything - everything but dry wood!!! 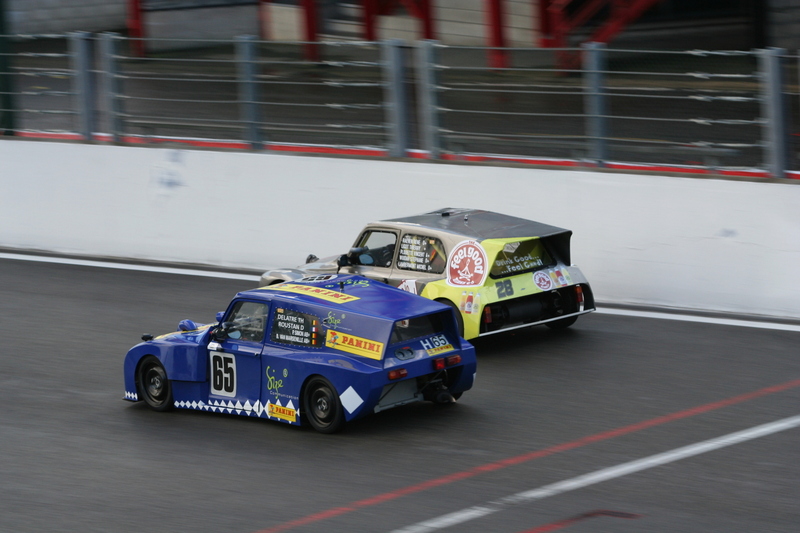 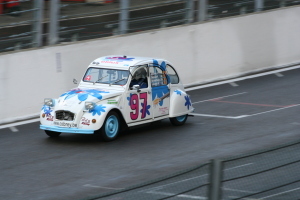 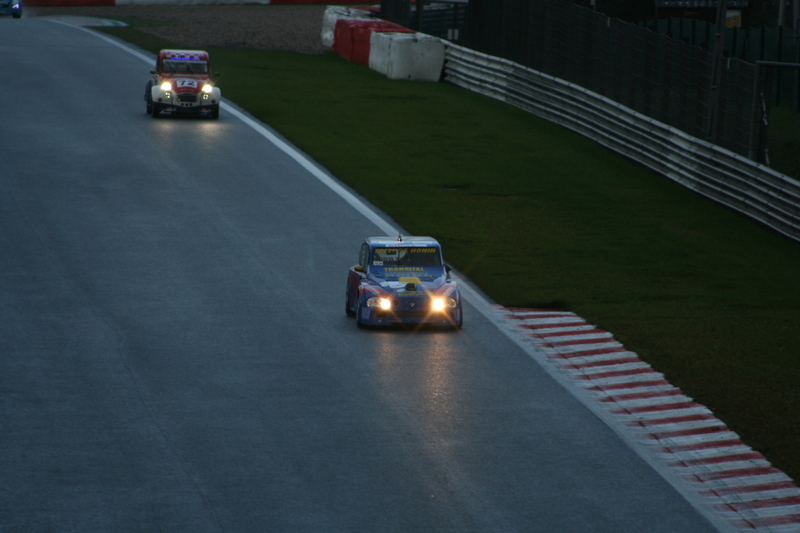 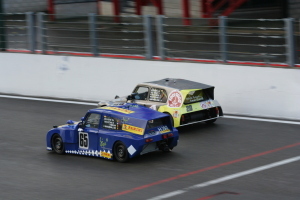 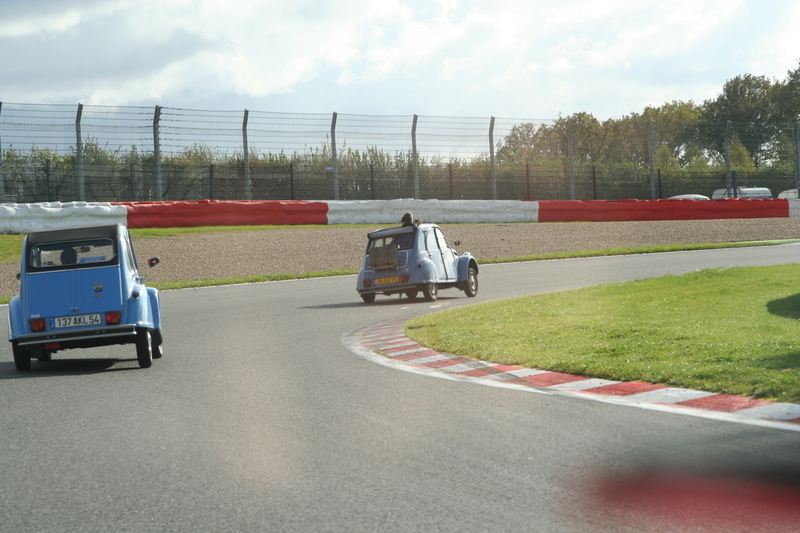 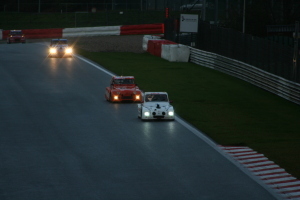 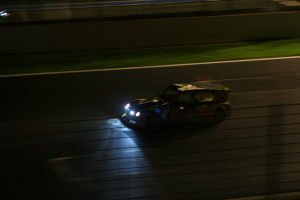 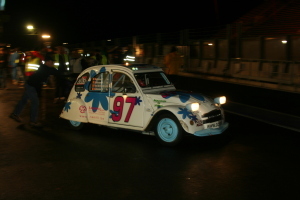 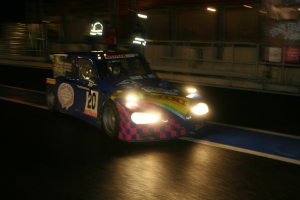 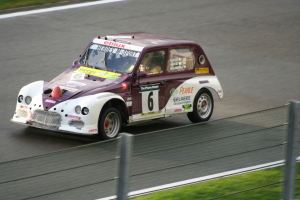 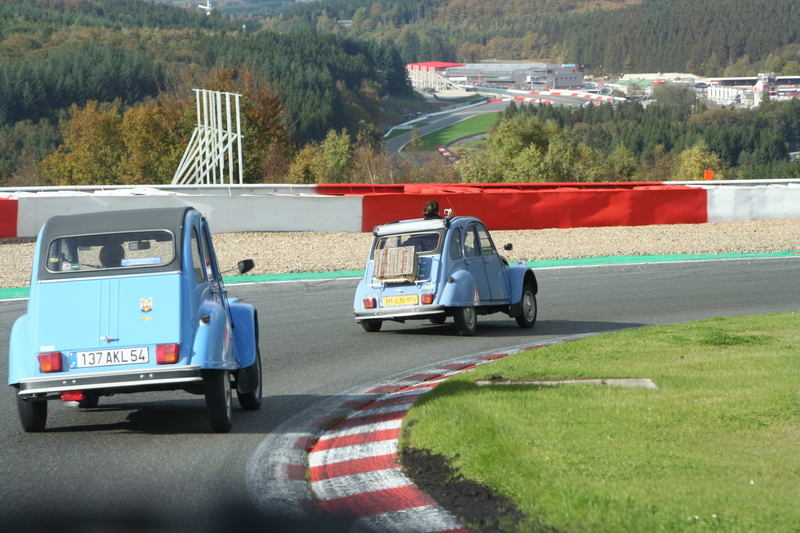 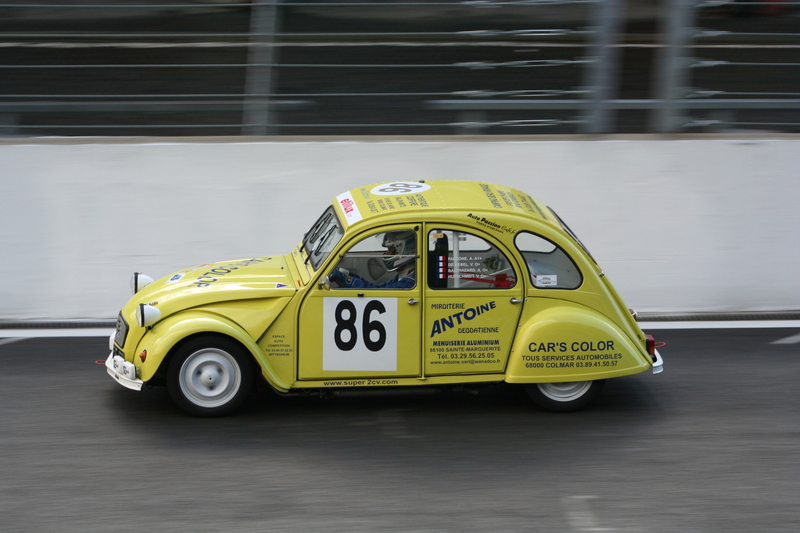 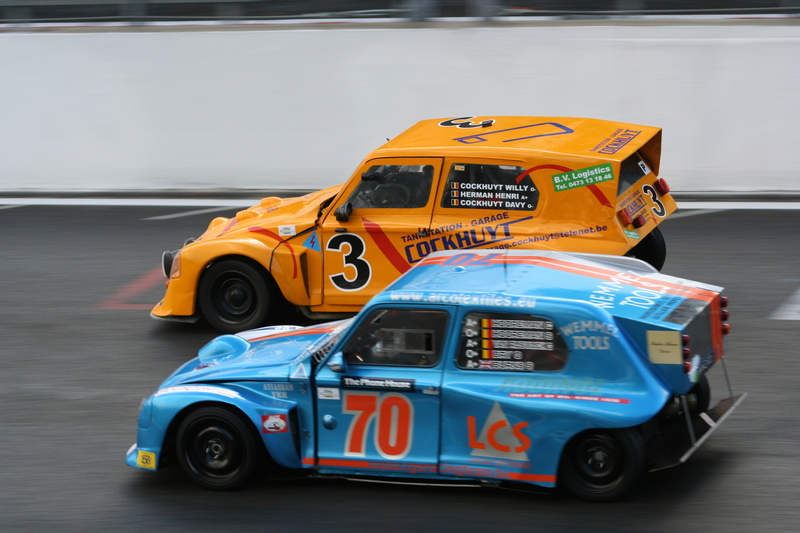 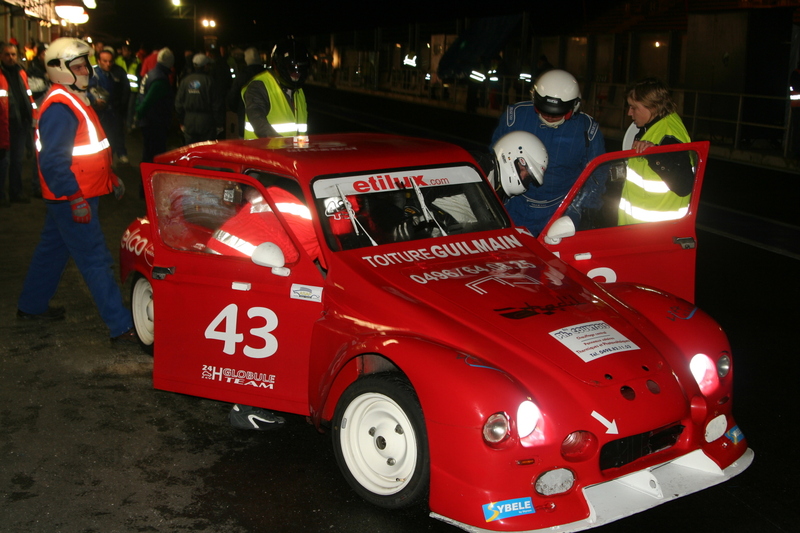 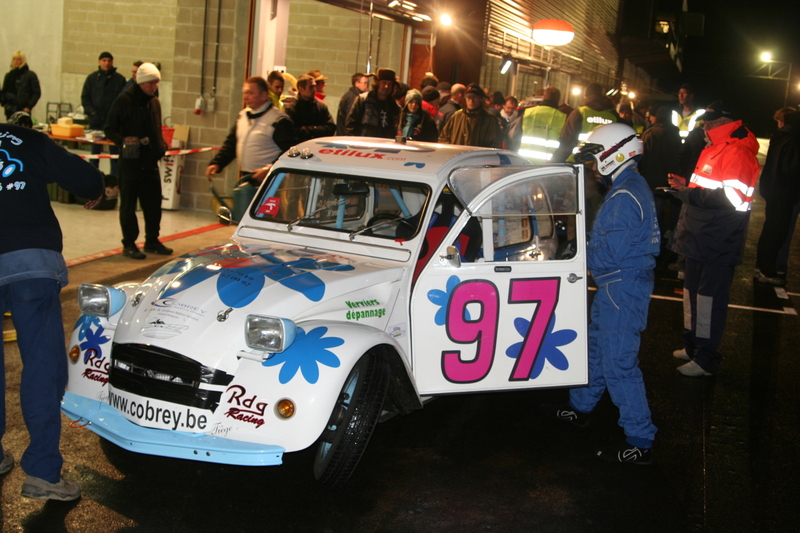 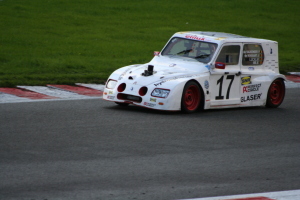 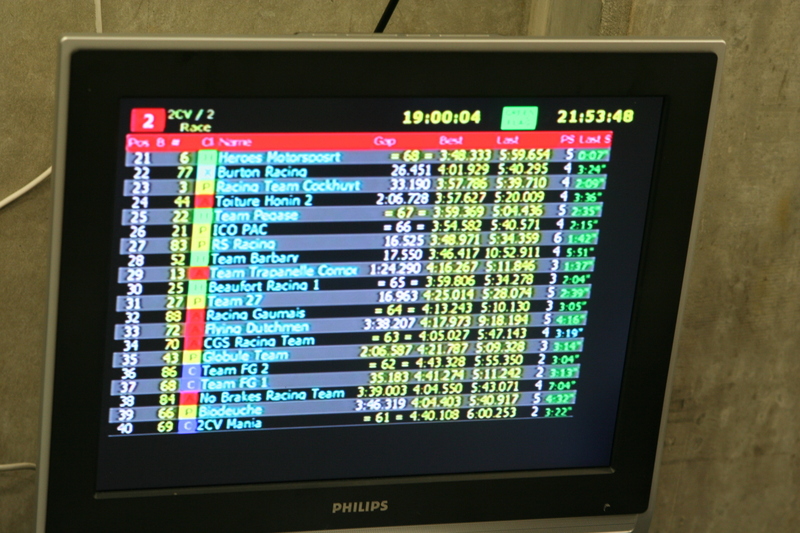 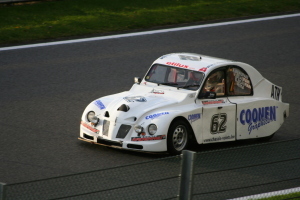 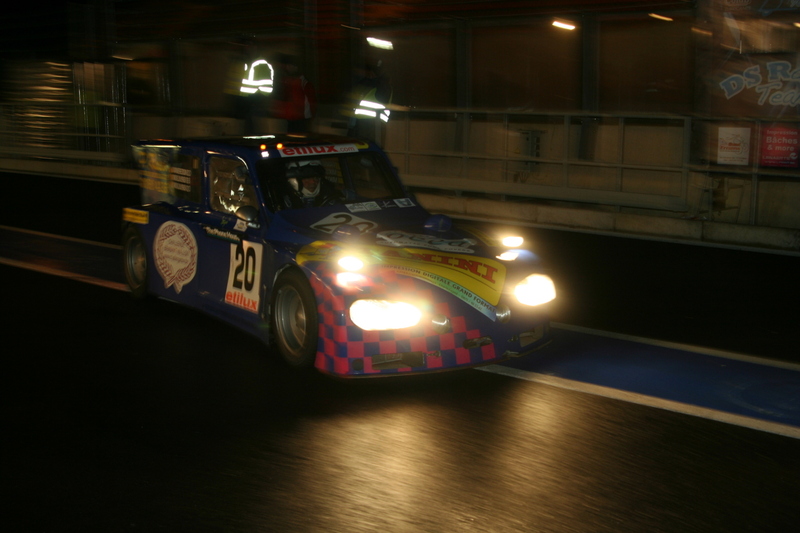 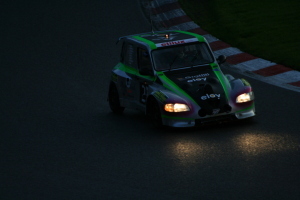 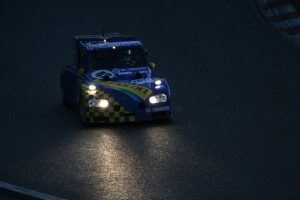 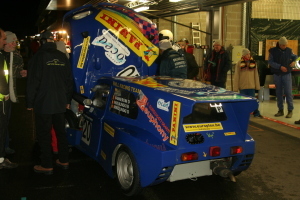 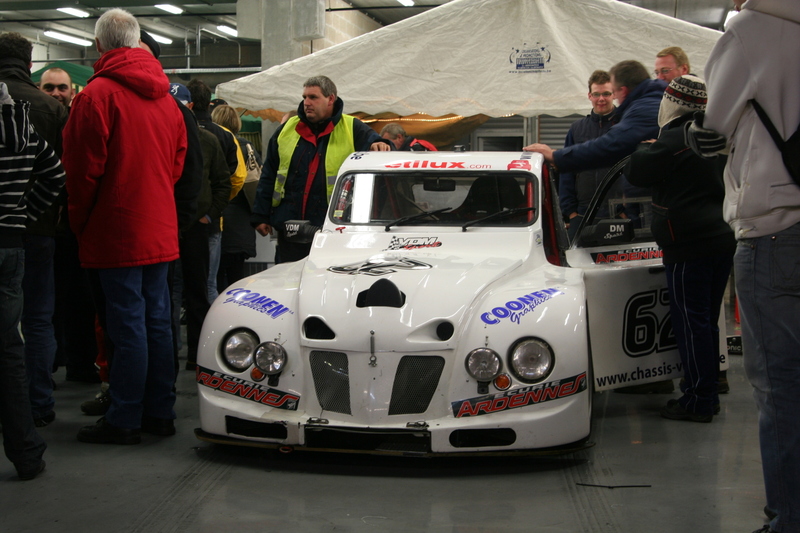 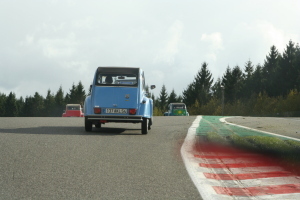 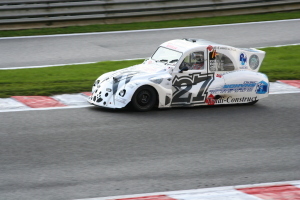 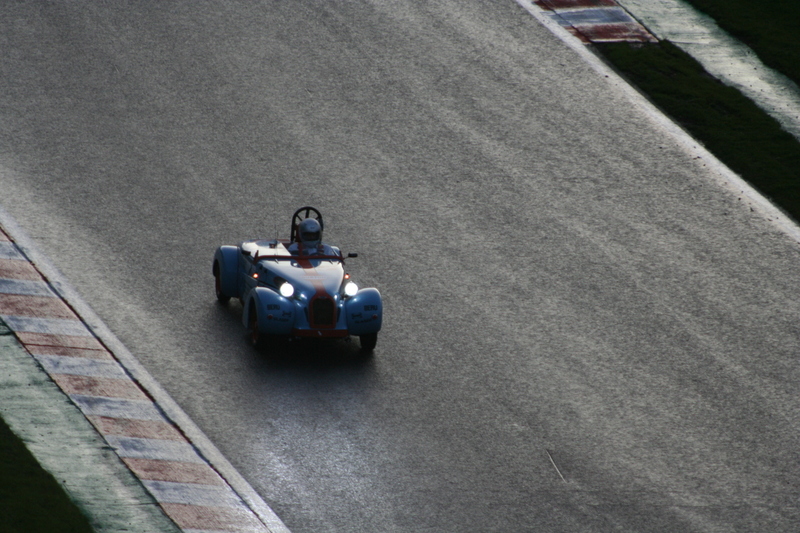 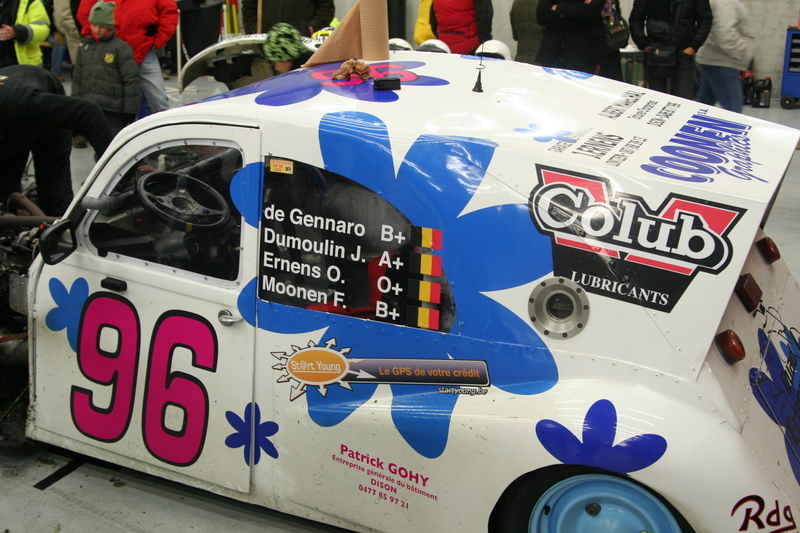 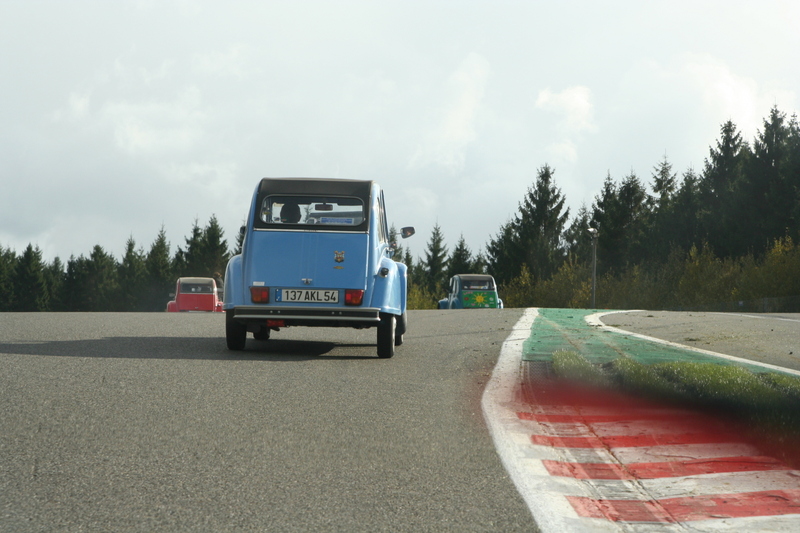 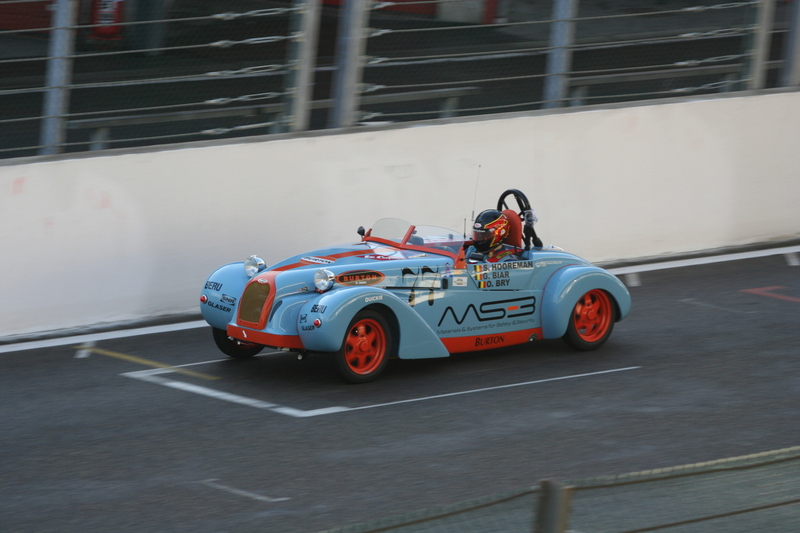 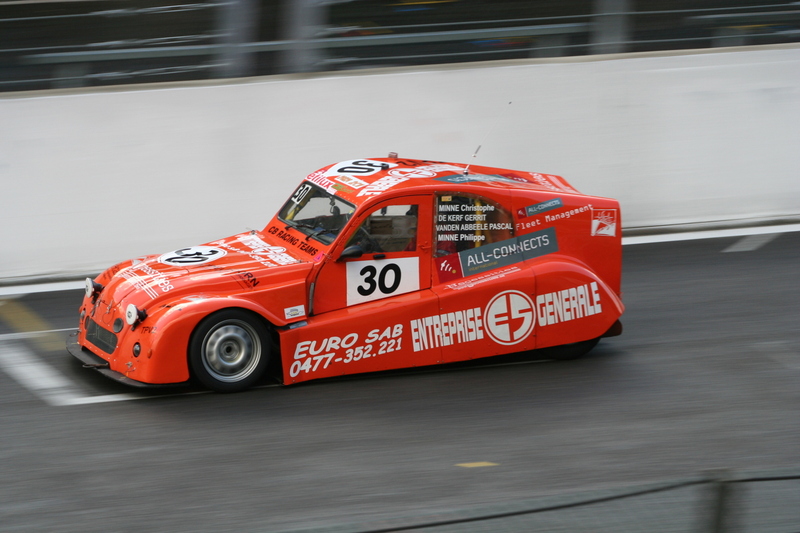 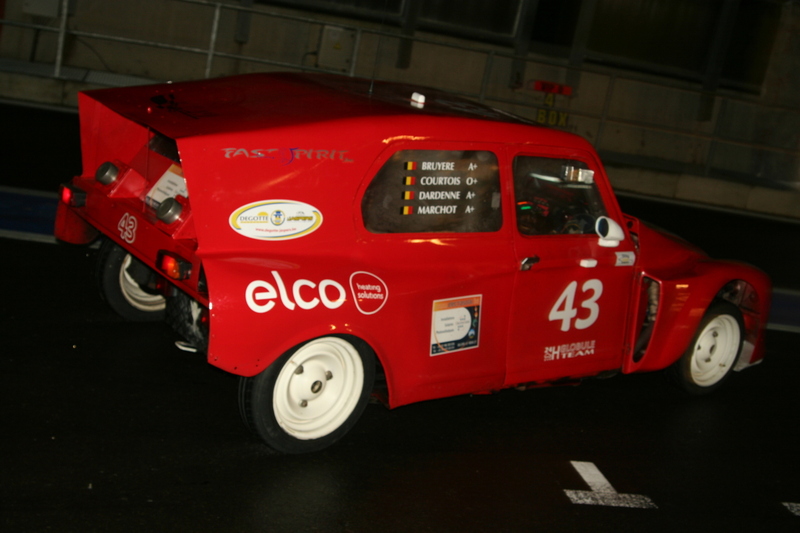 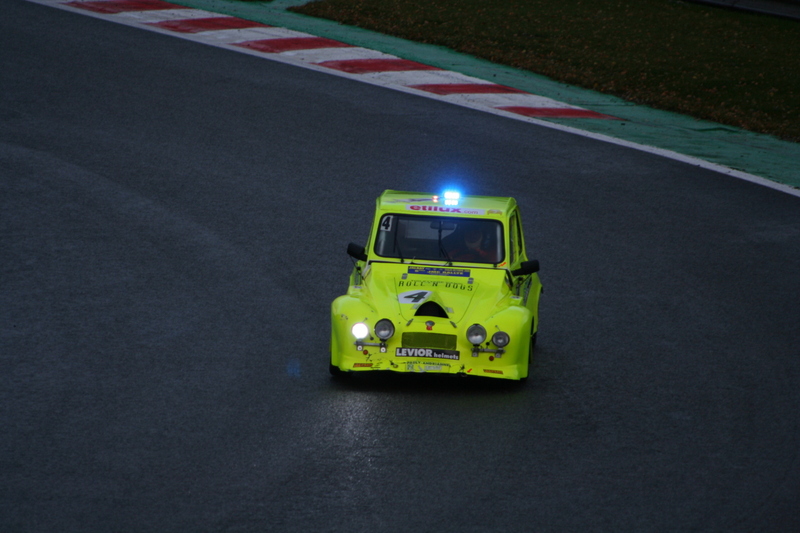 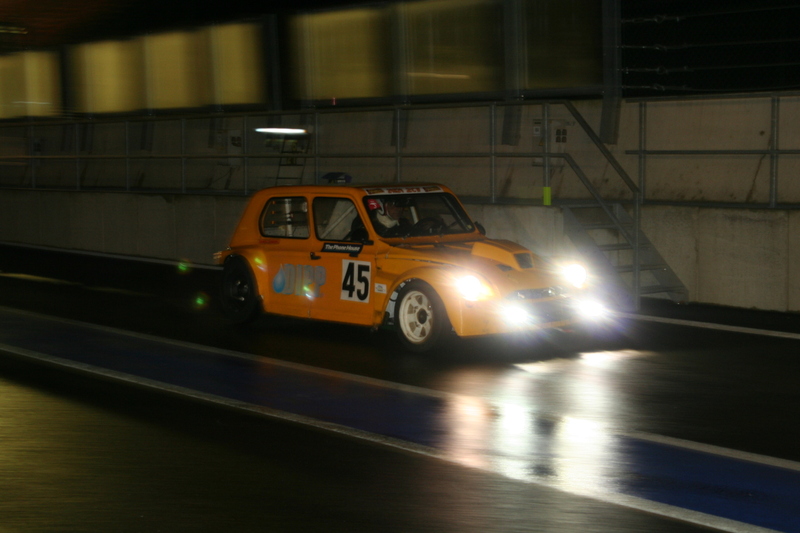 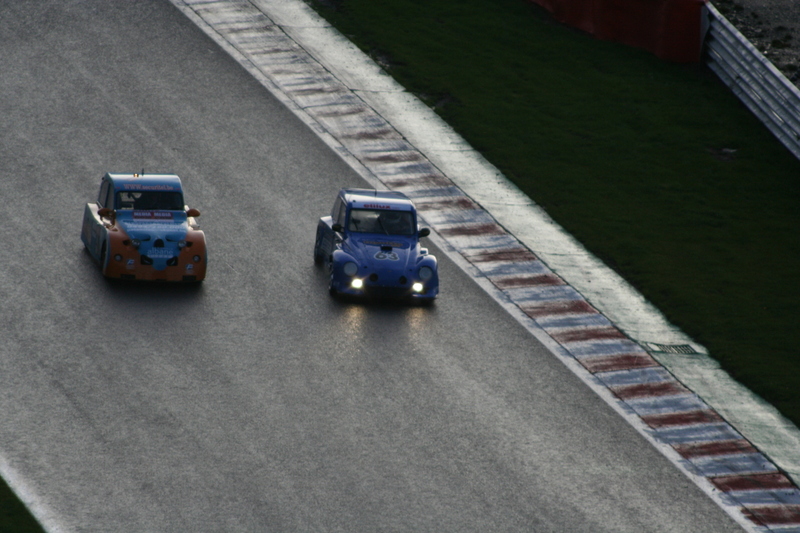 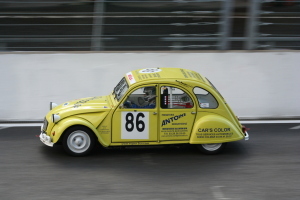 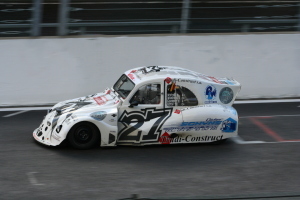 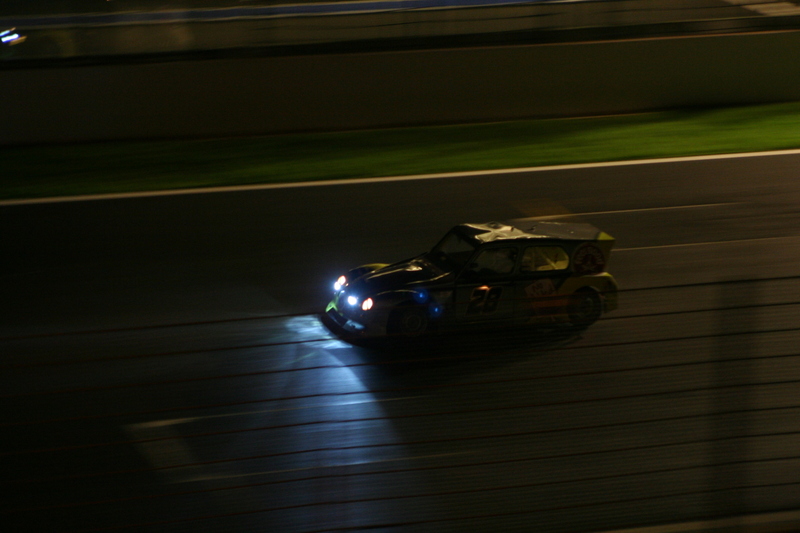 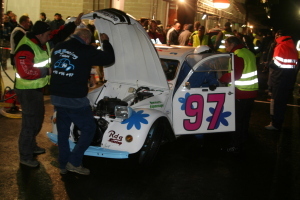 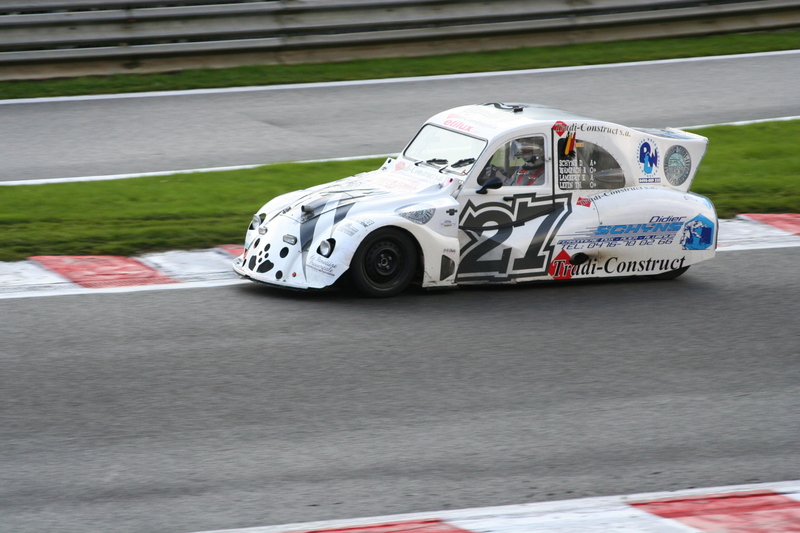 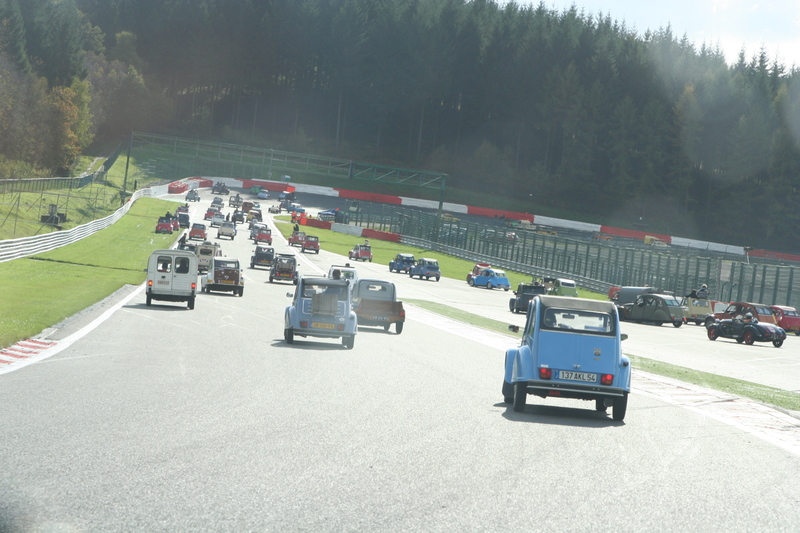 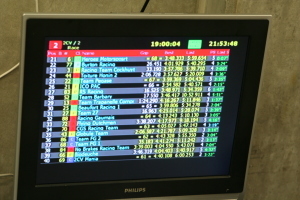 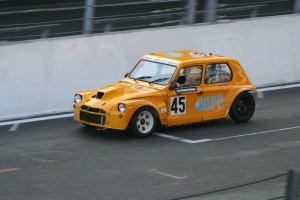 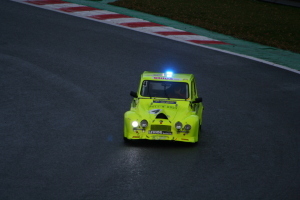 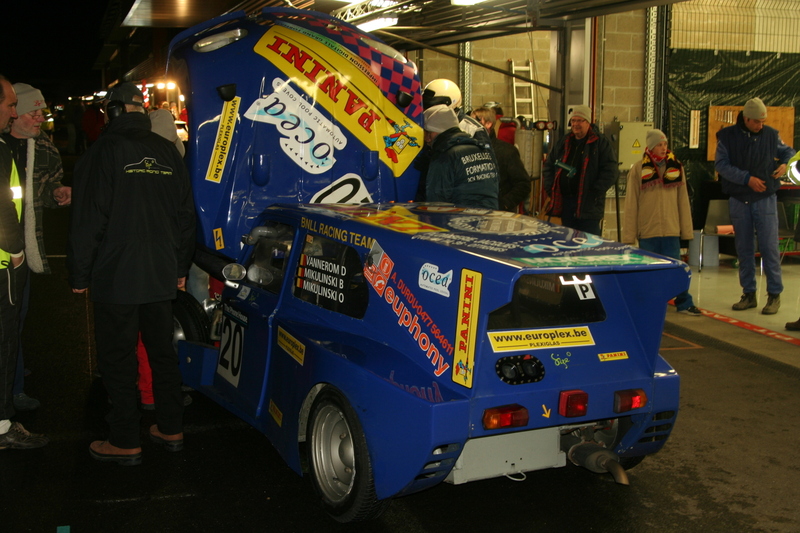 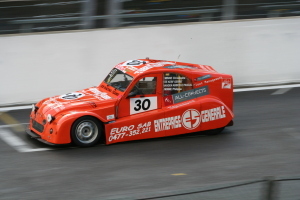 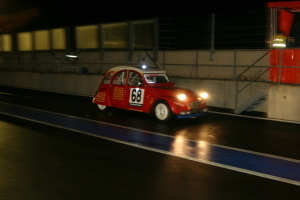 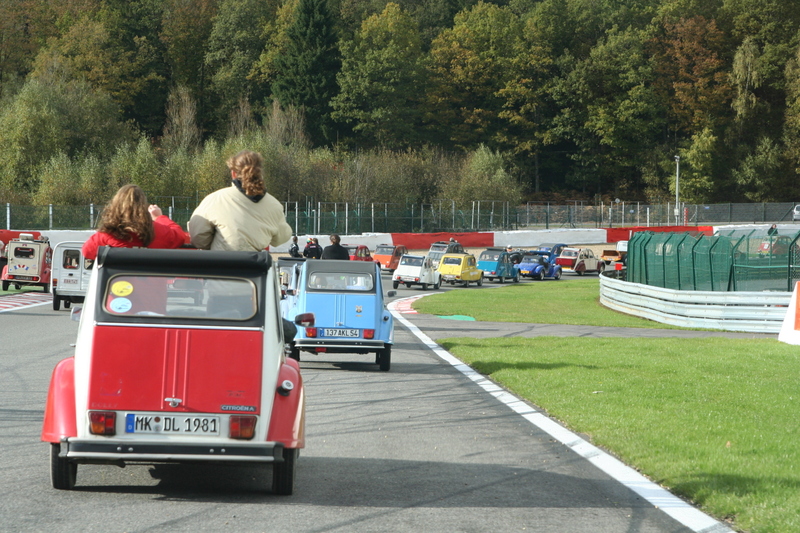 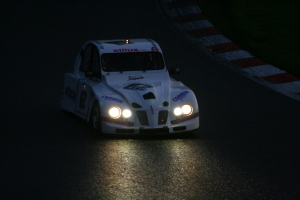 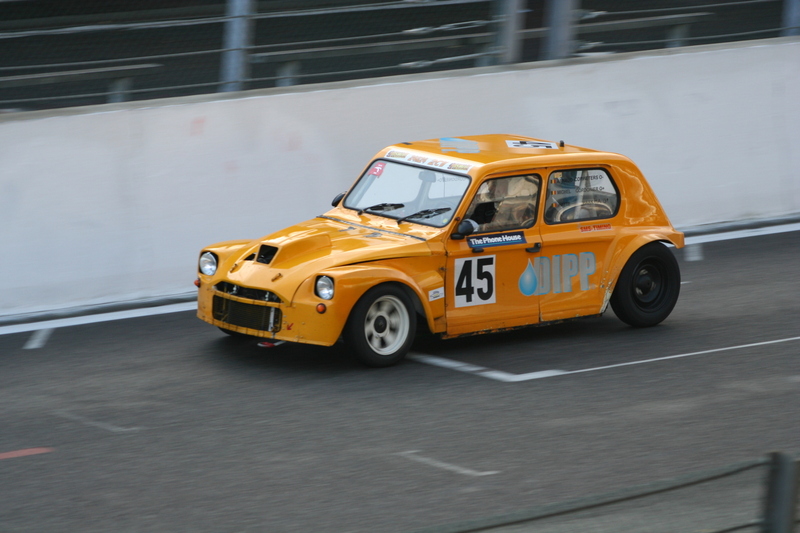 My own conclusion: 24h-race of the 2CV in Spa? 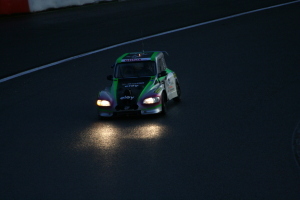 At all times again!! !